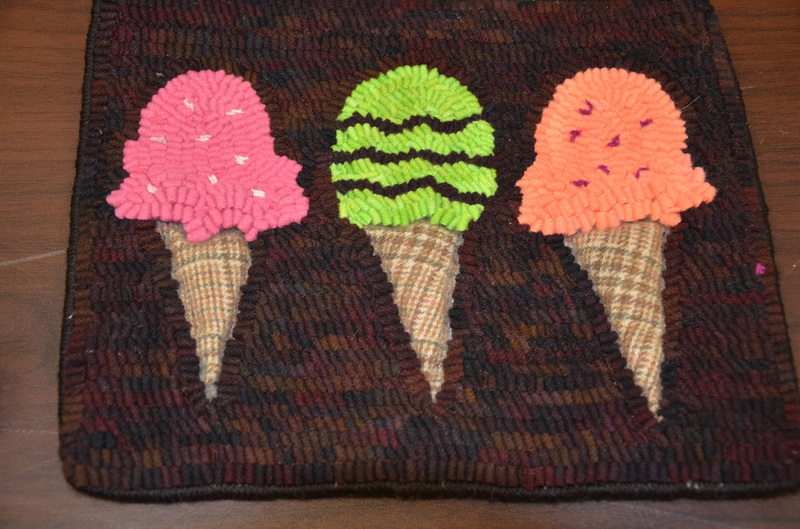 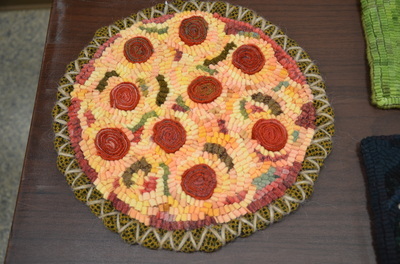 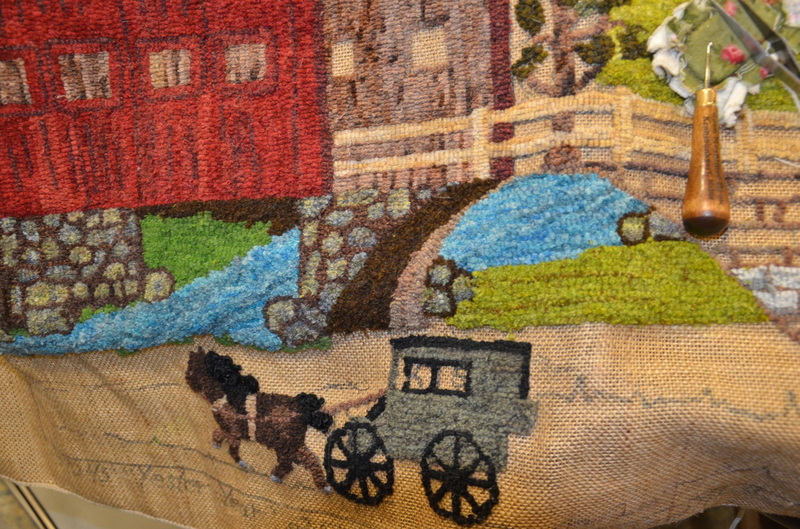 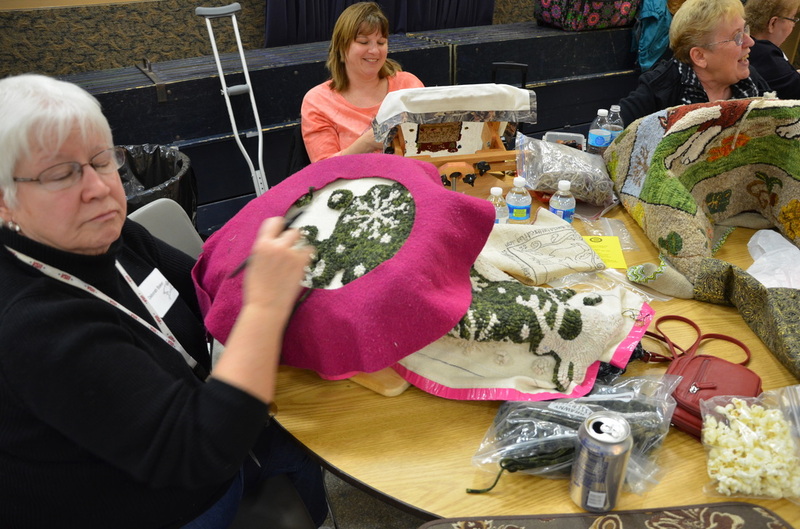 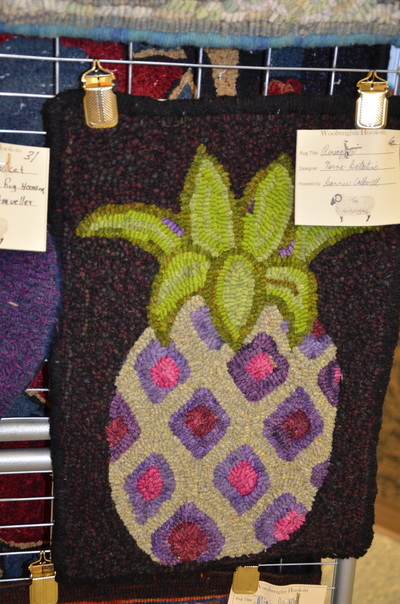 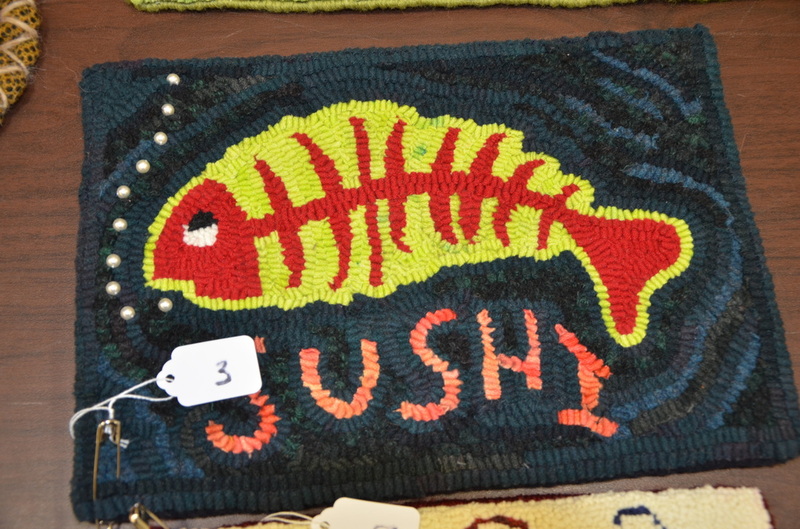 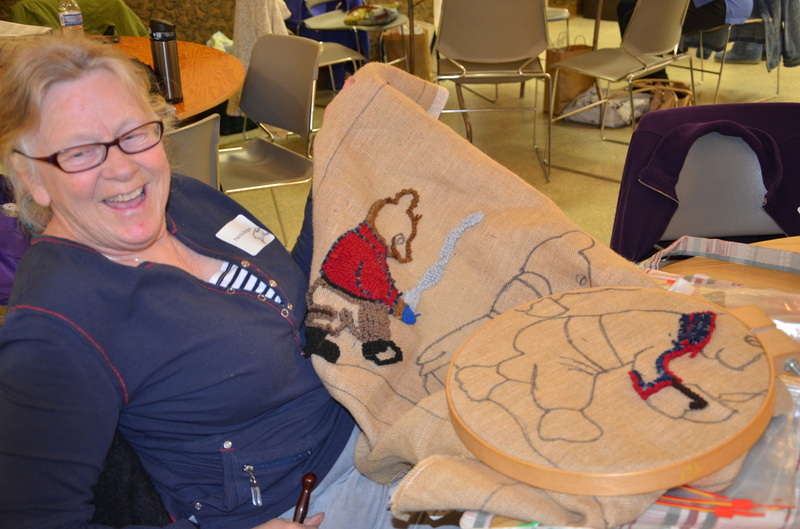 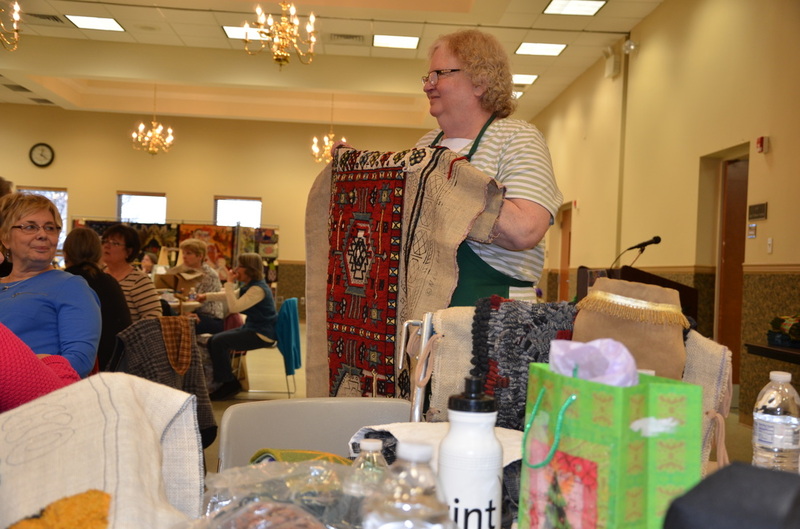 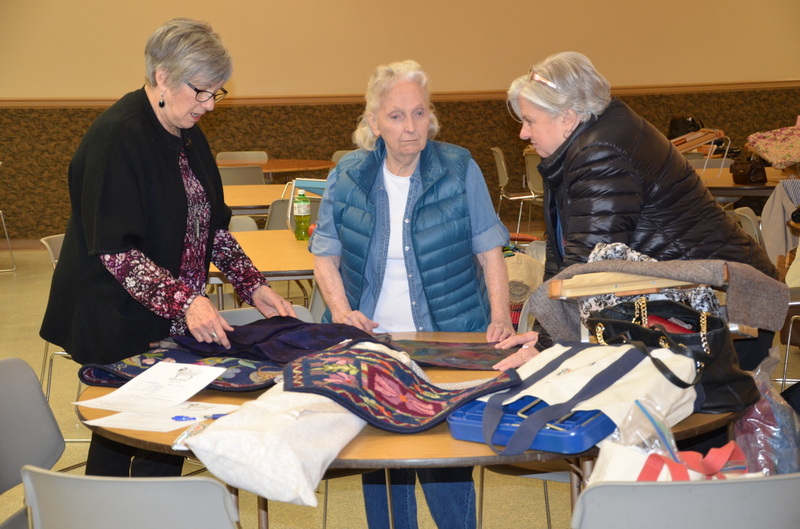 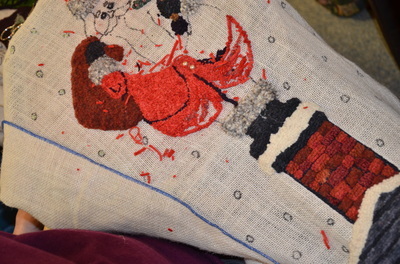 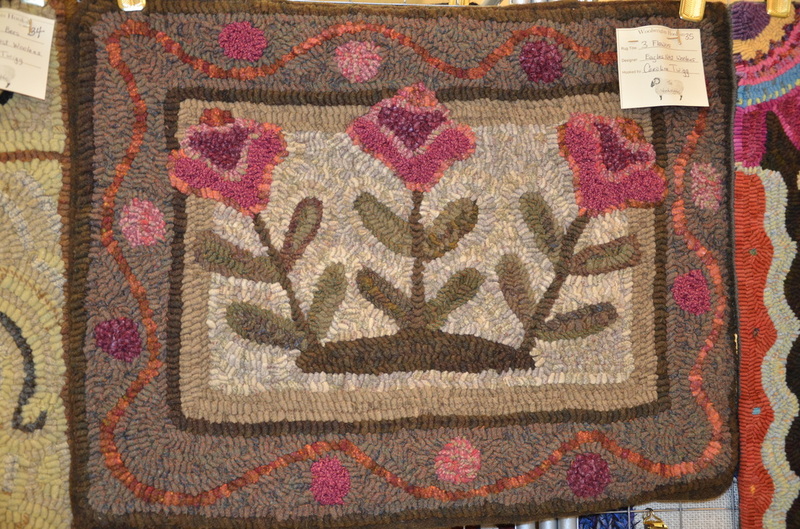 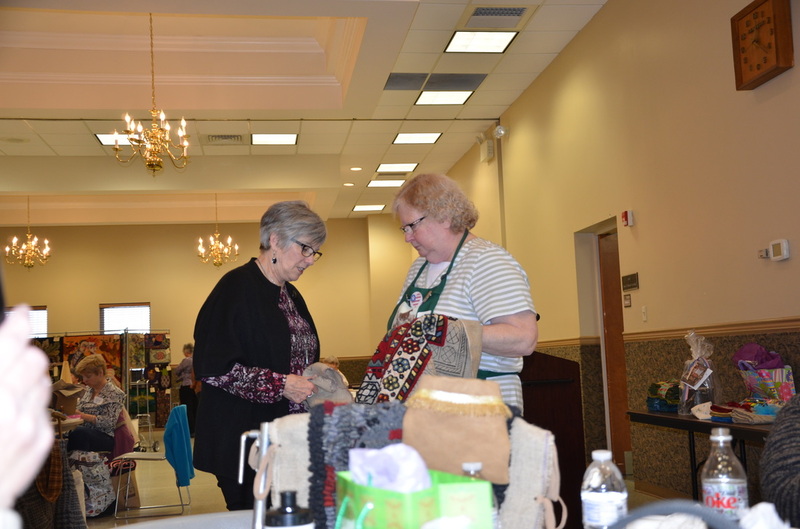 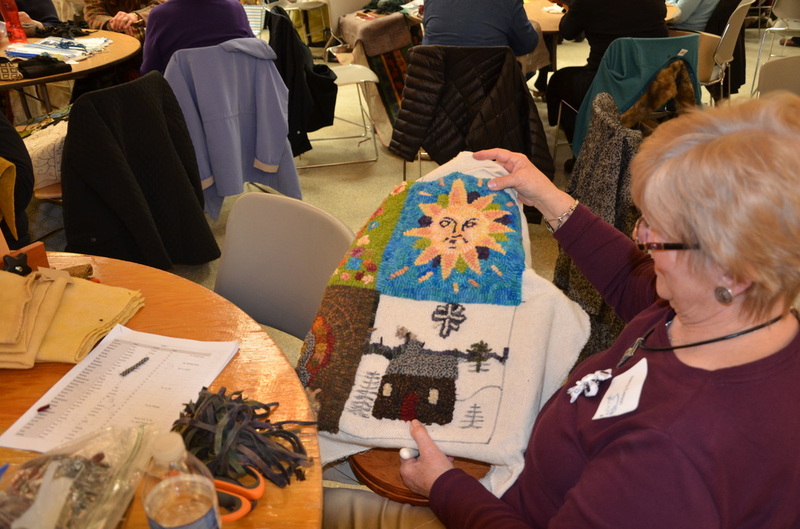 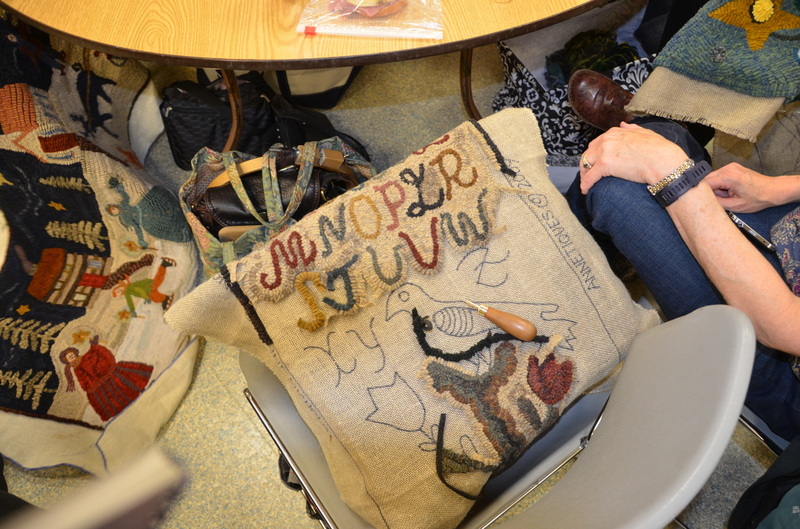 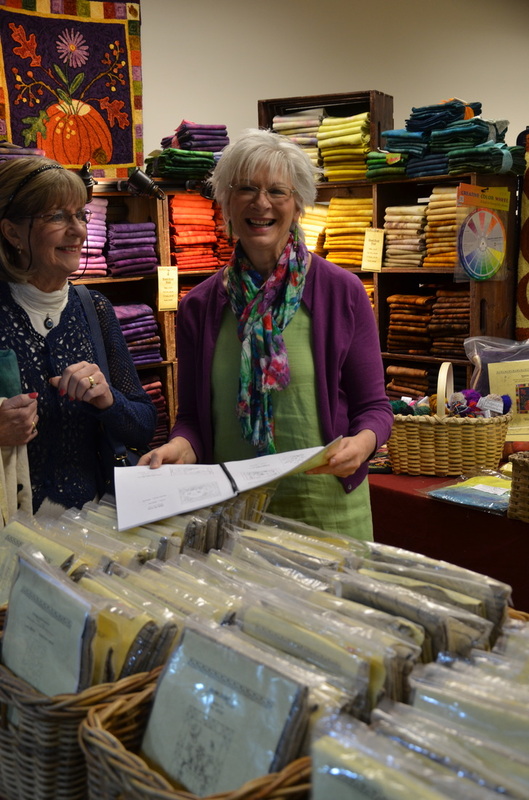 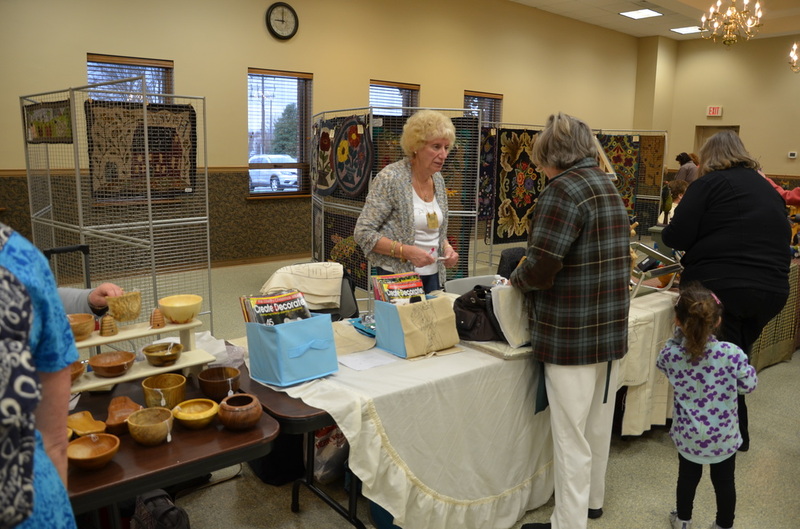 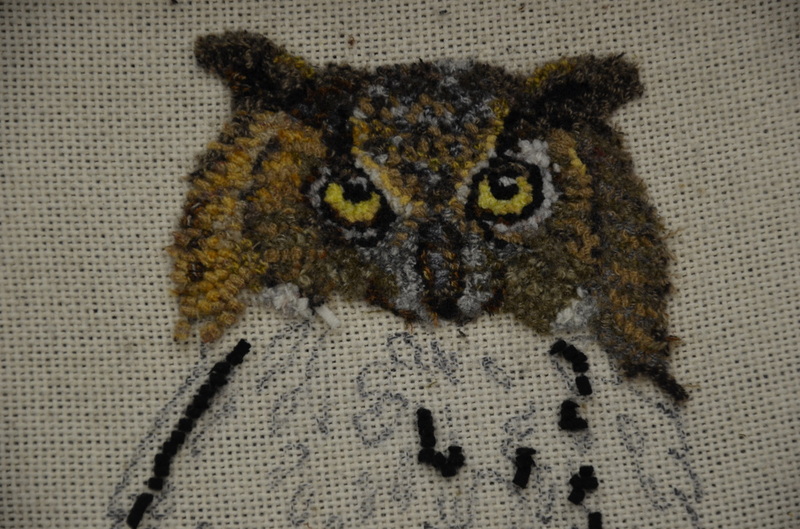 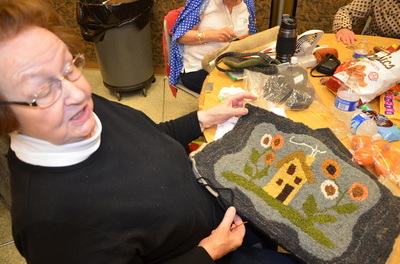 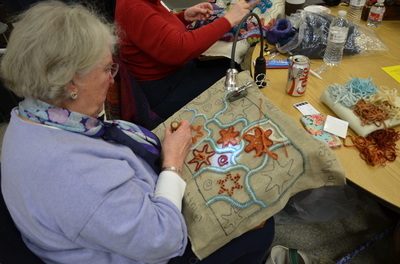 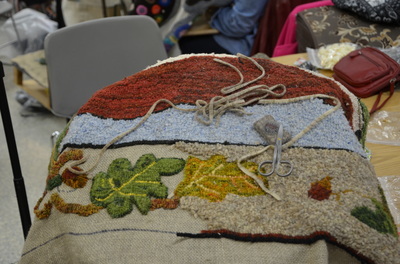 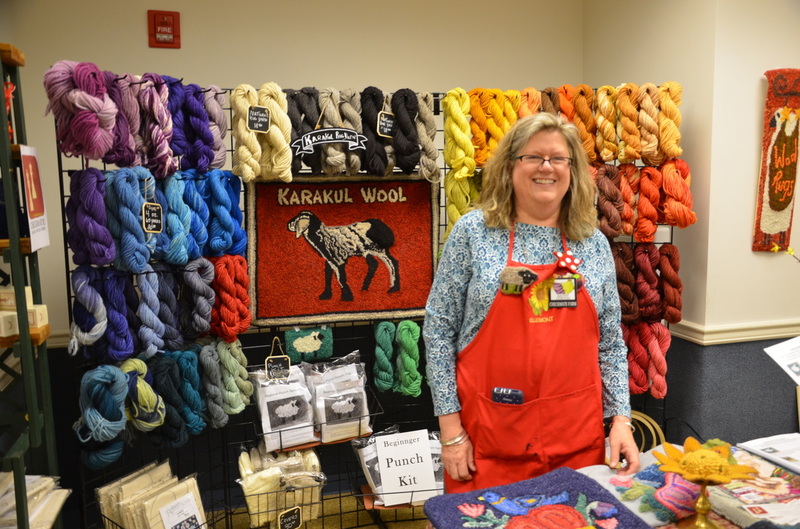 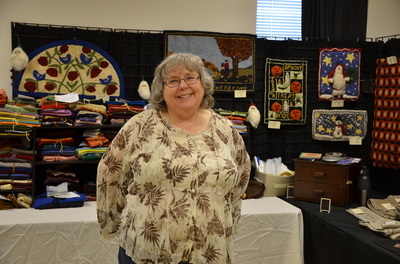 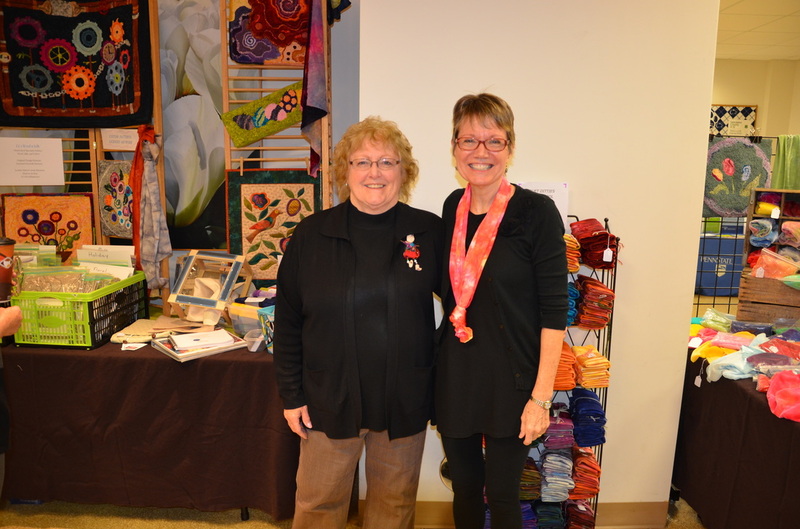 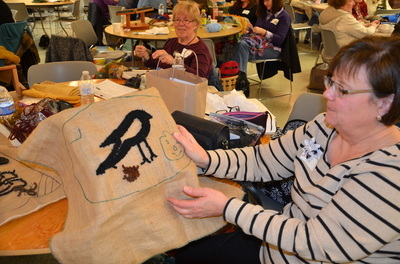 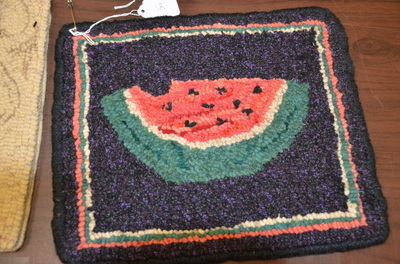 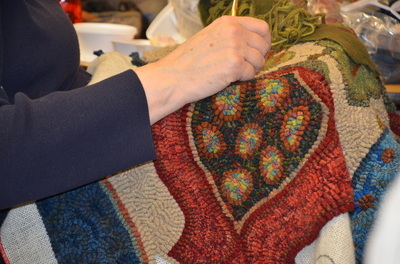 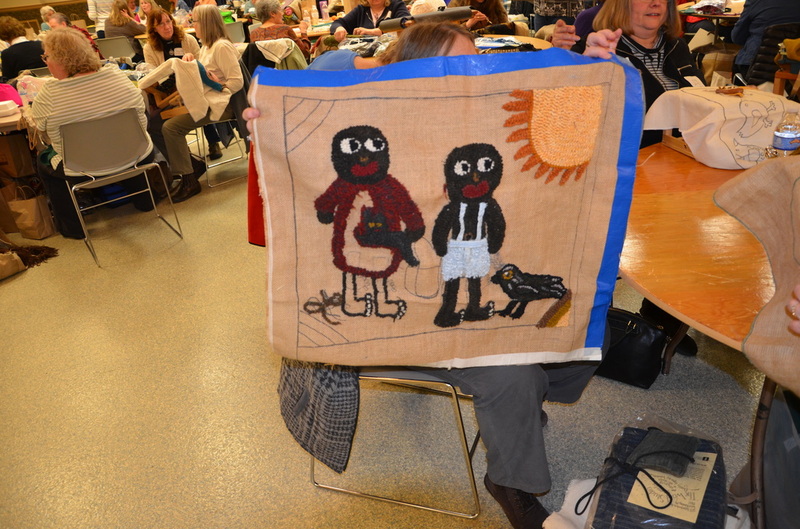 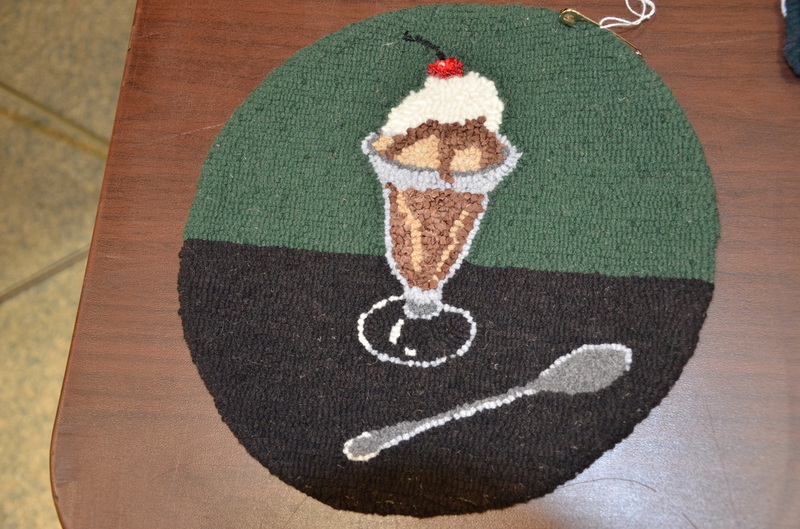 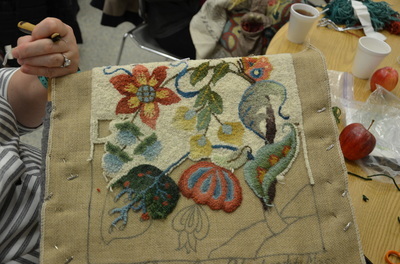 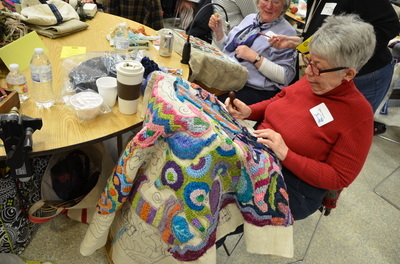 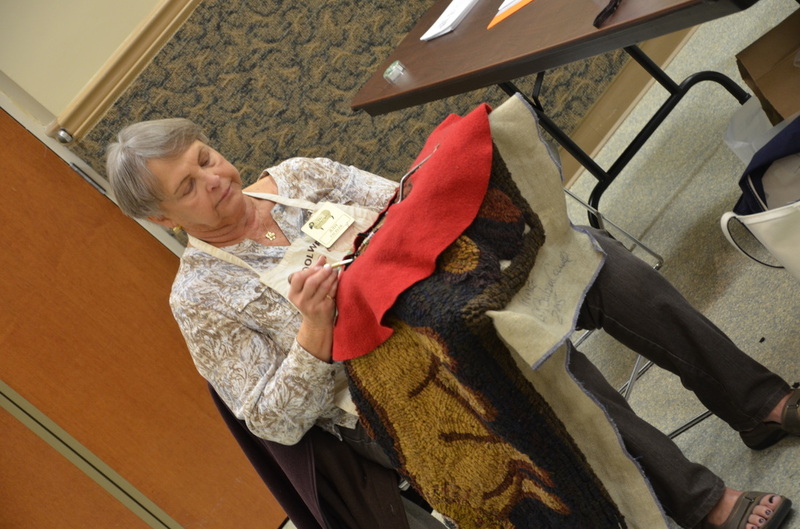 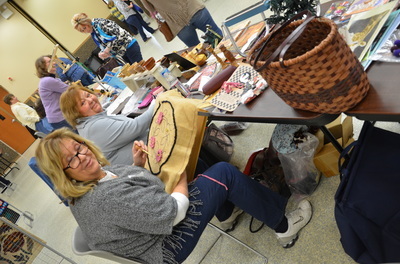 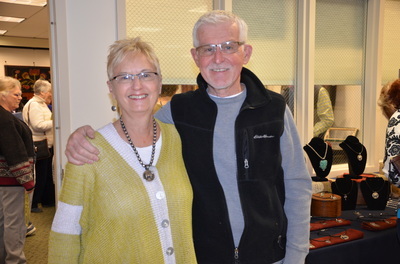 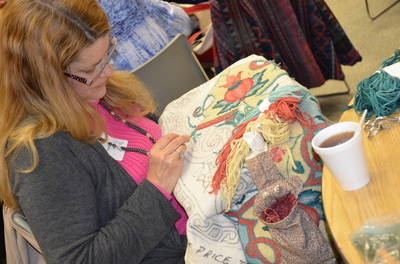 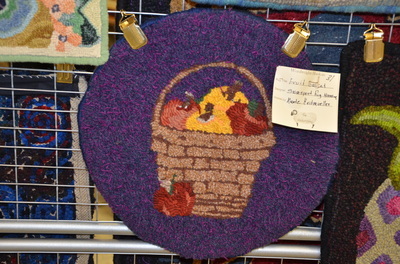 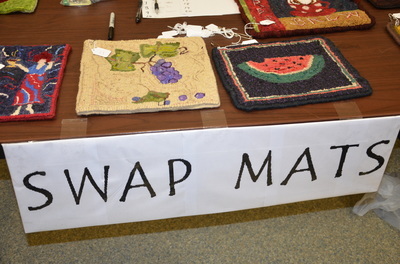 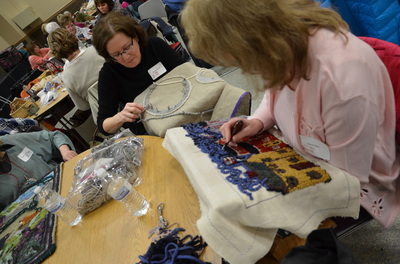 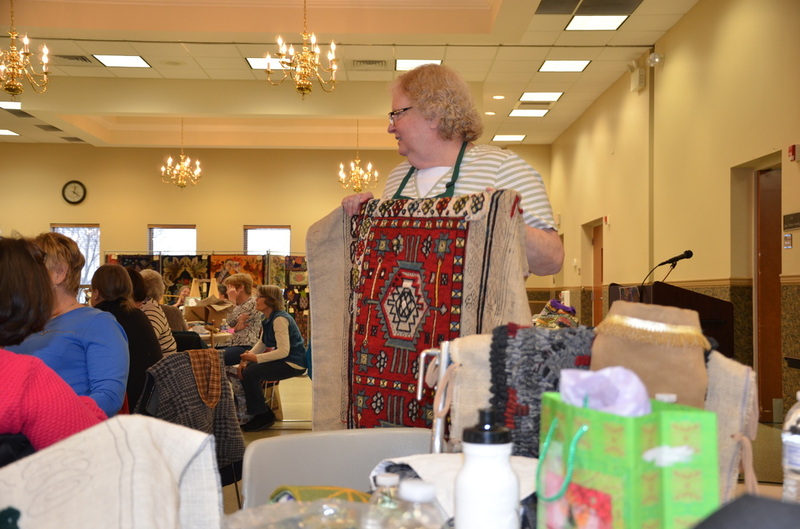 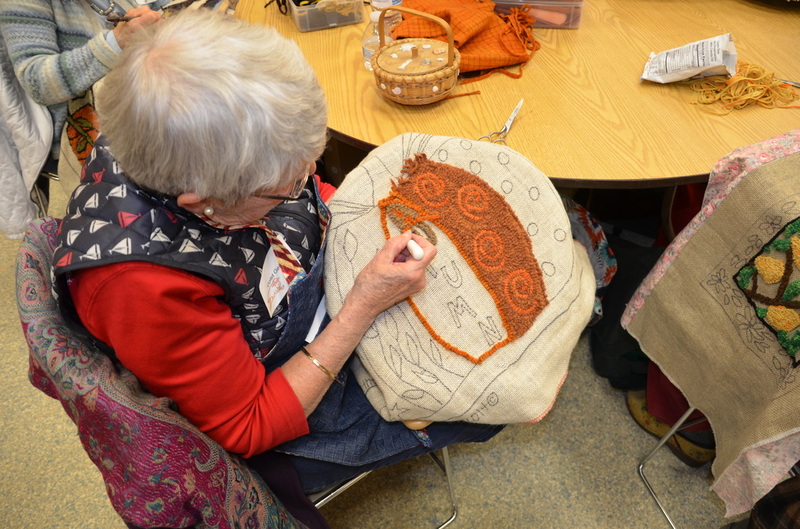 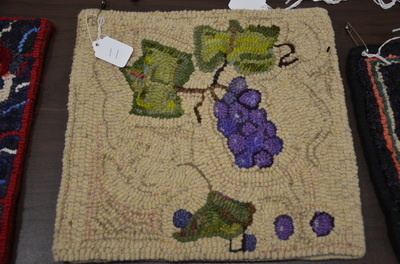 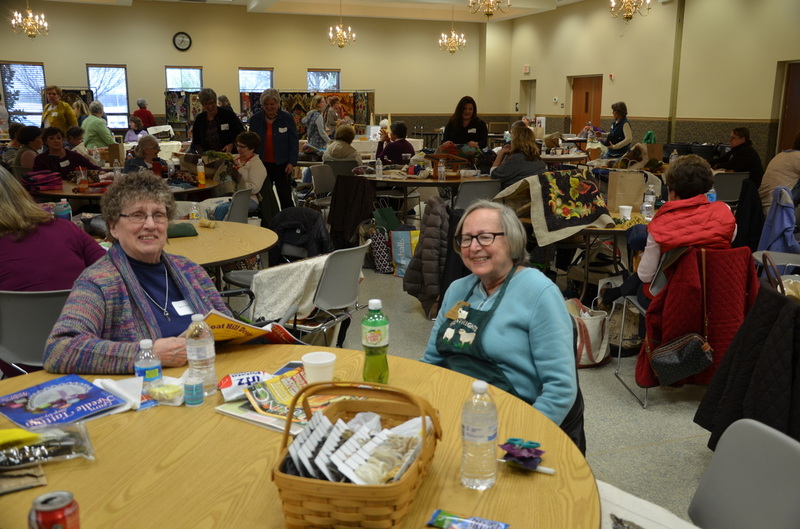 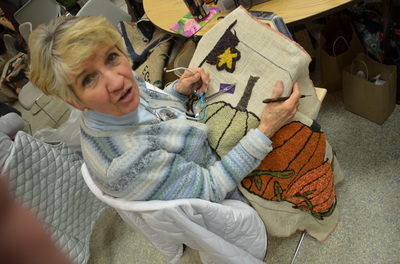 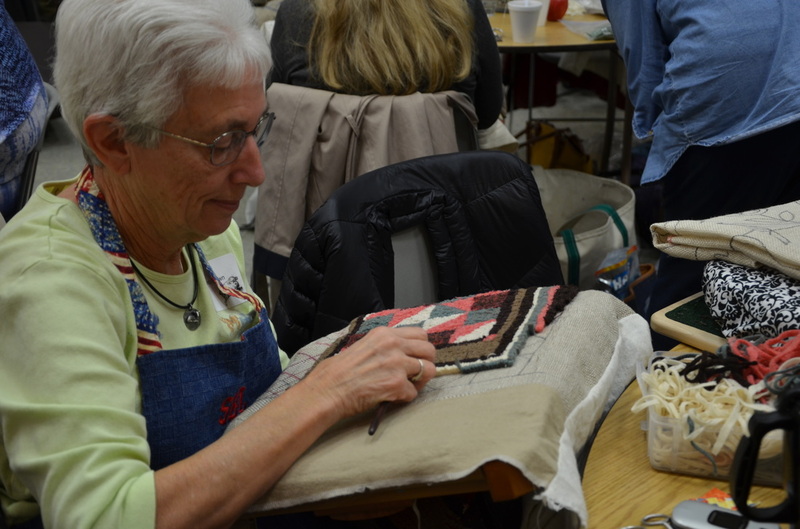 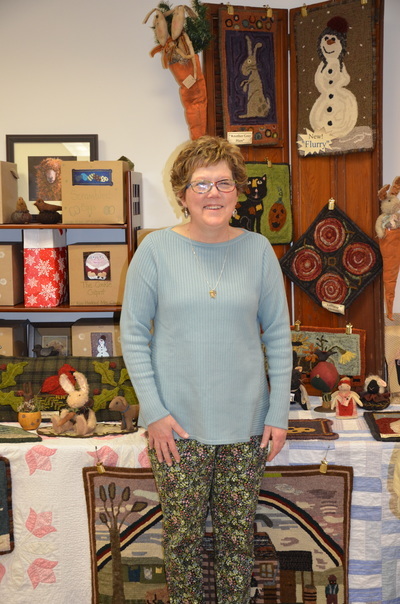 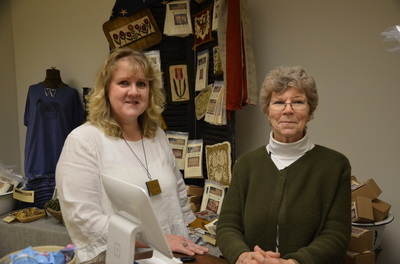 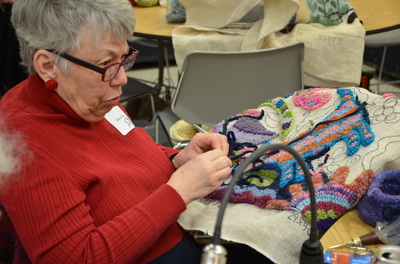 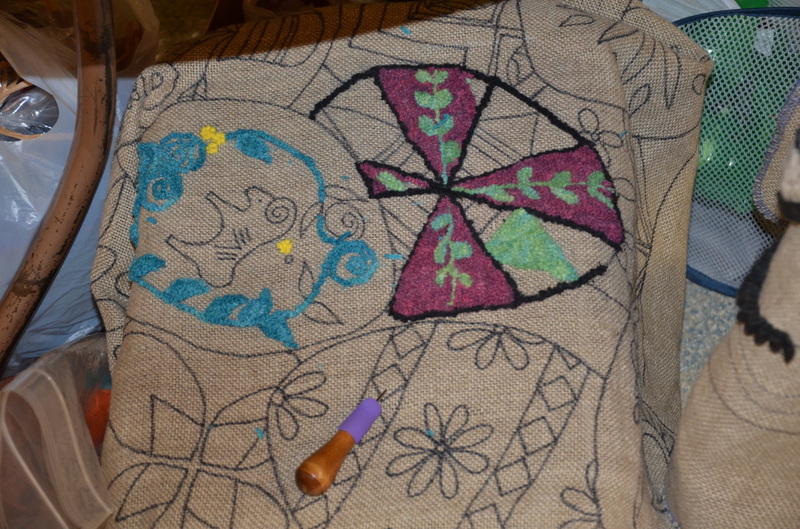 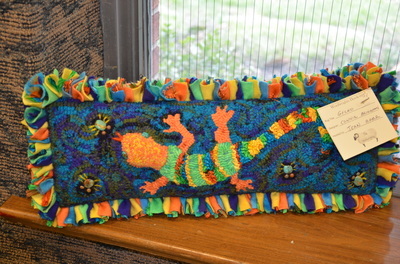 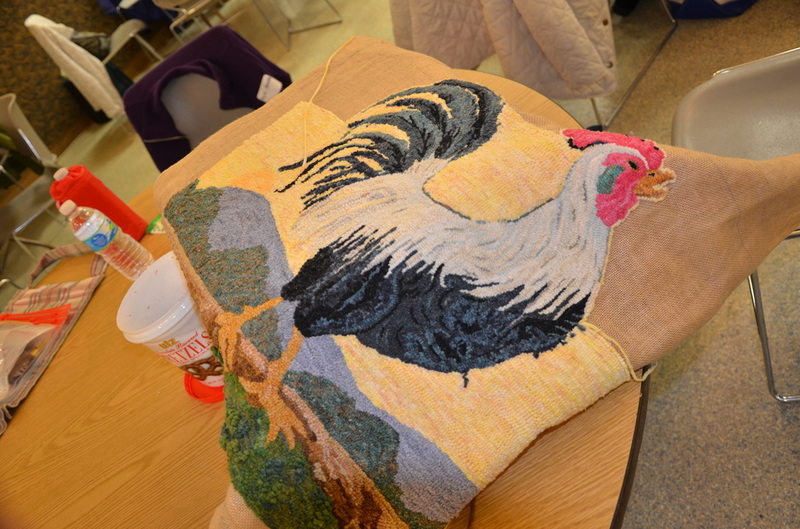 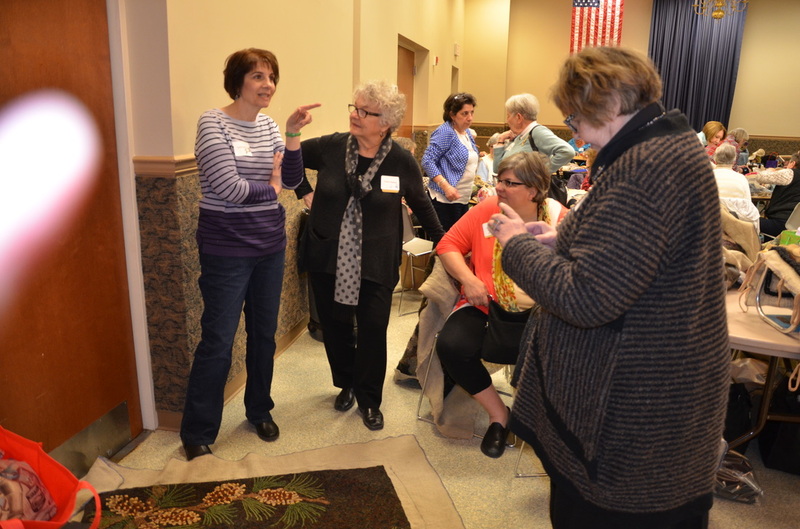 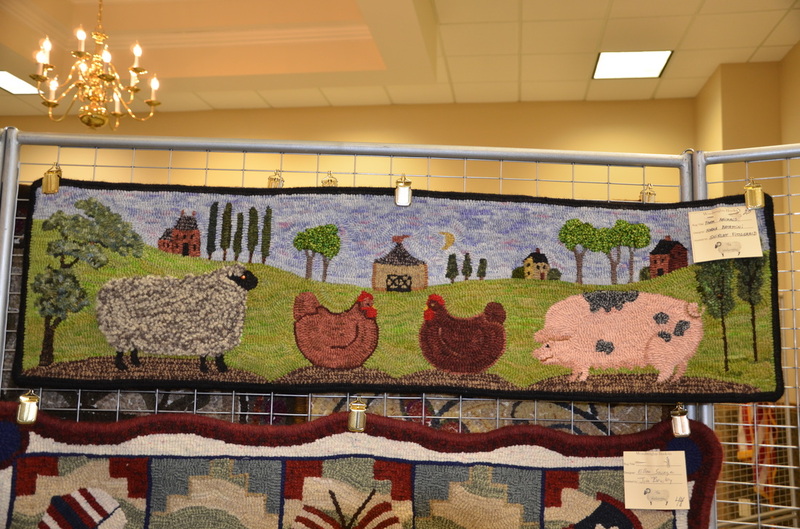 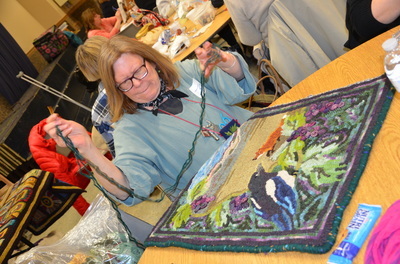 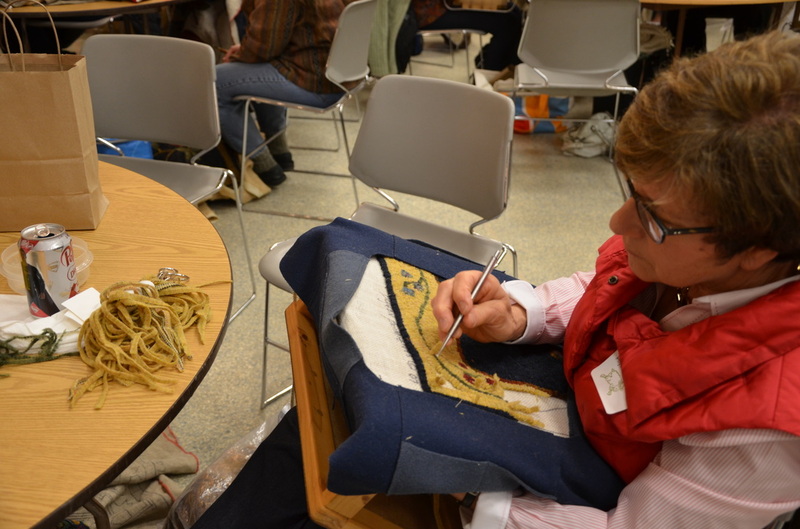 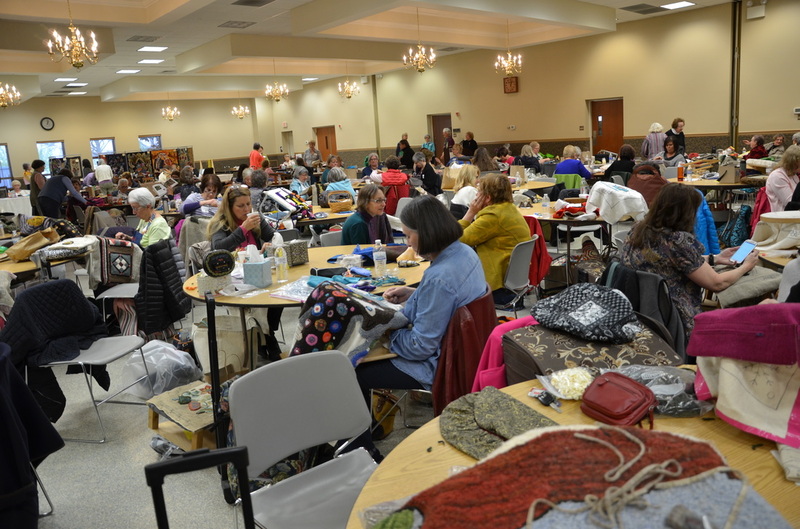 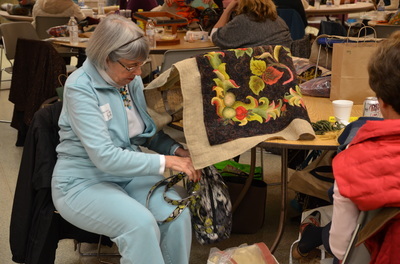 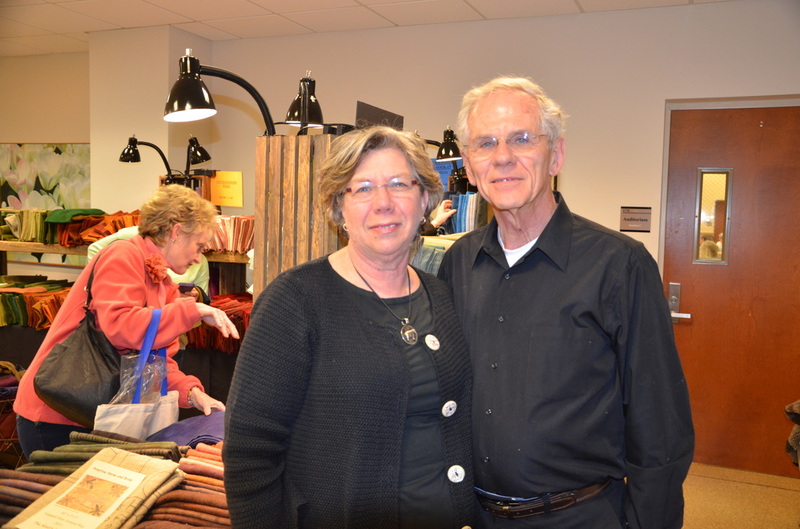 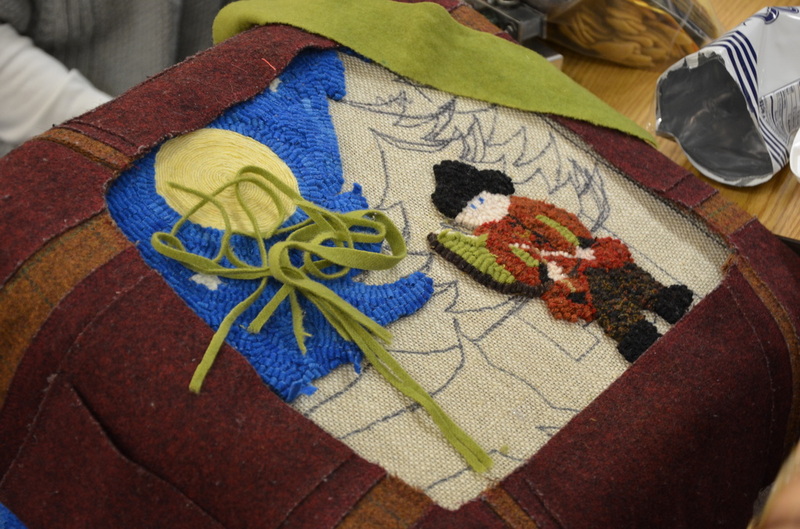 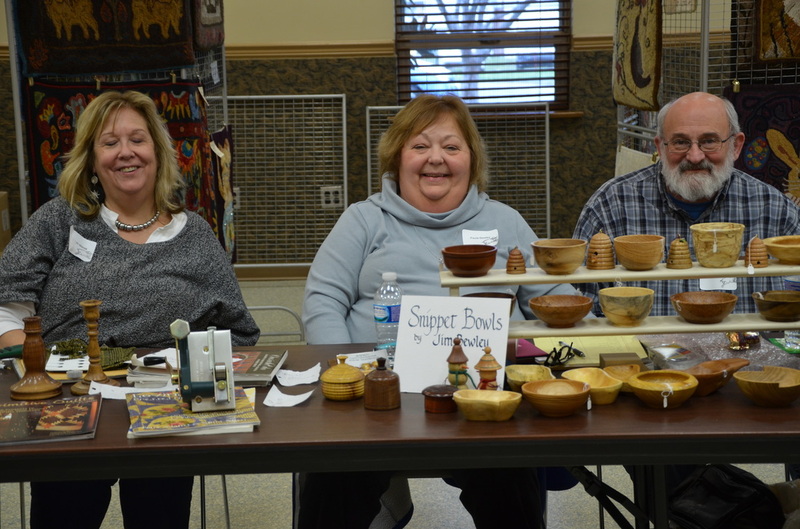 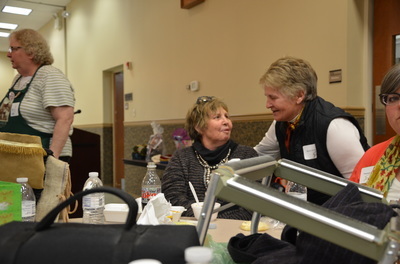 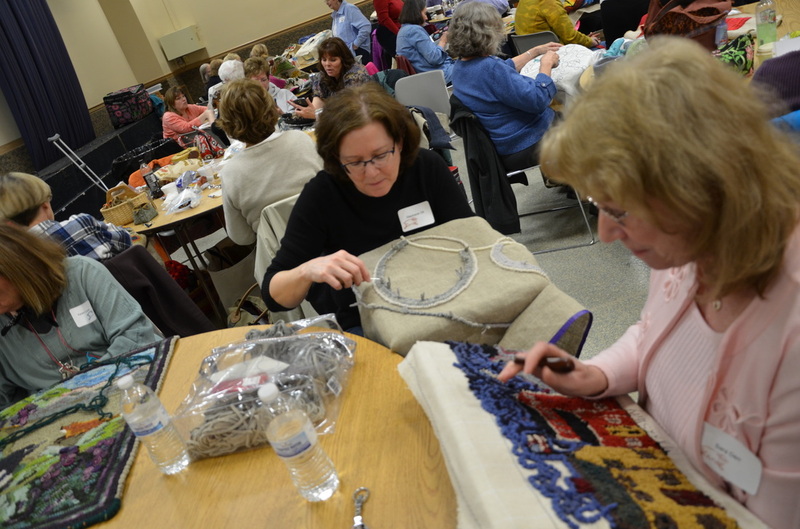 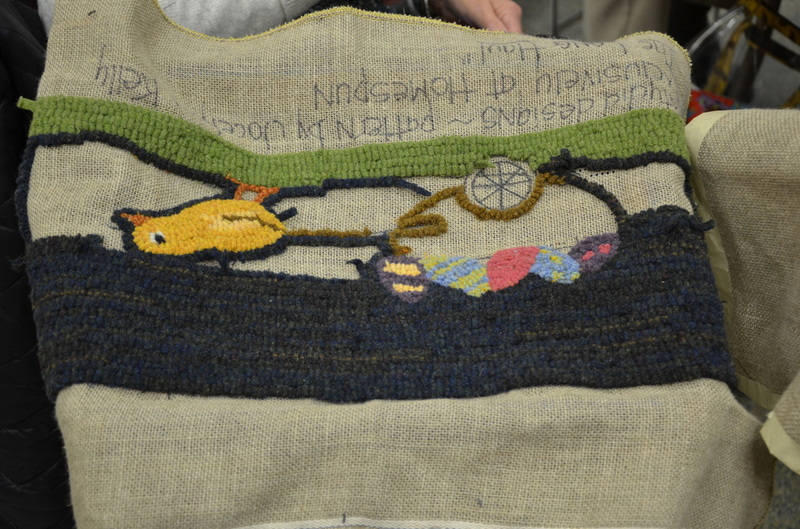 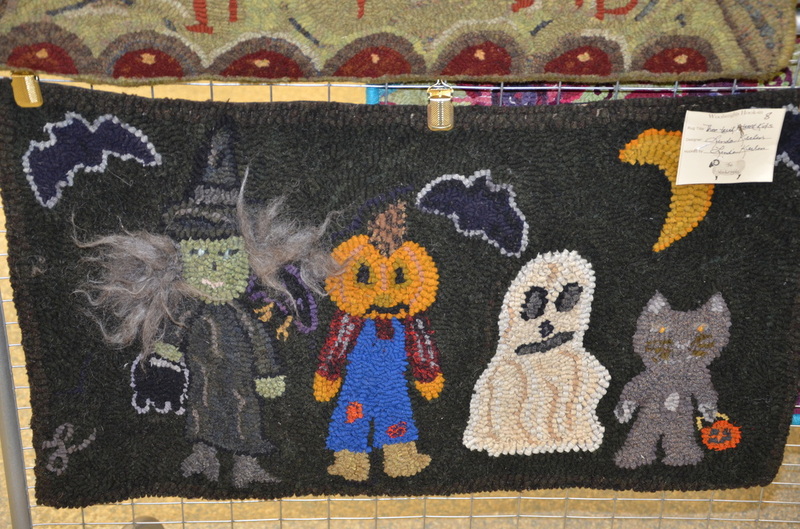 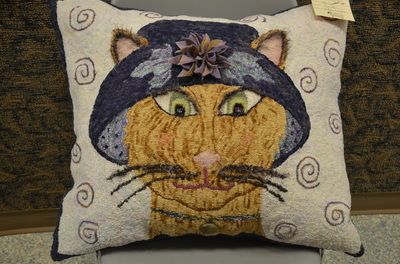 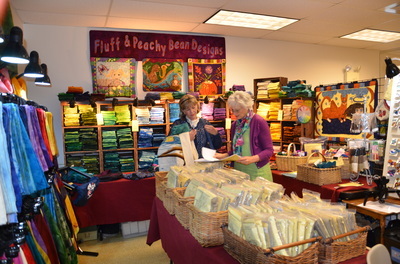 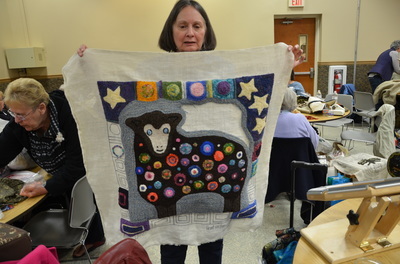 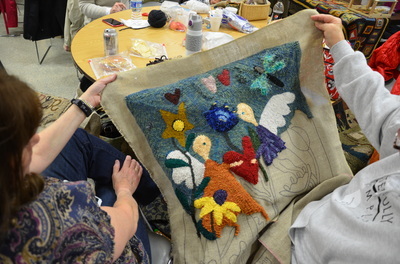 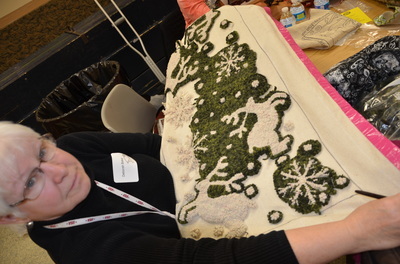 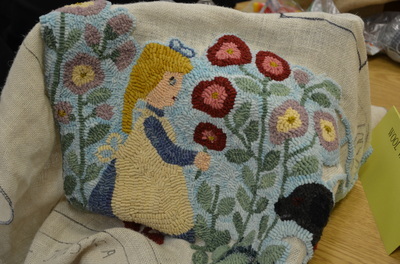 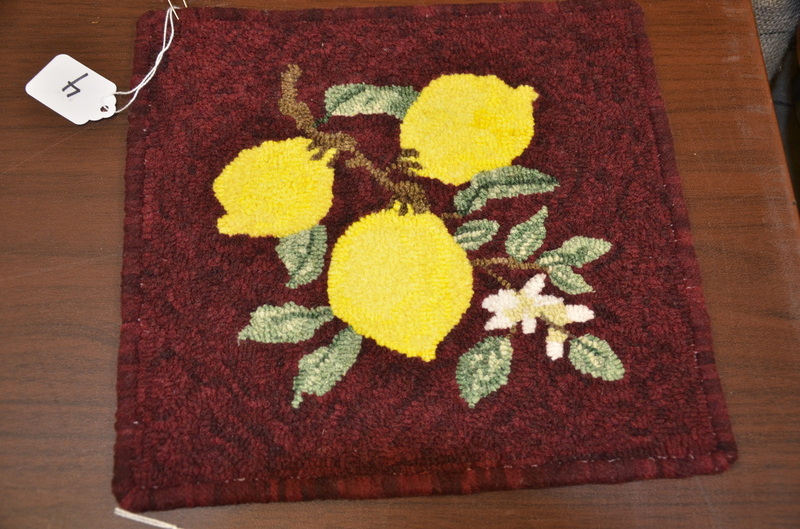 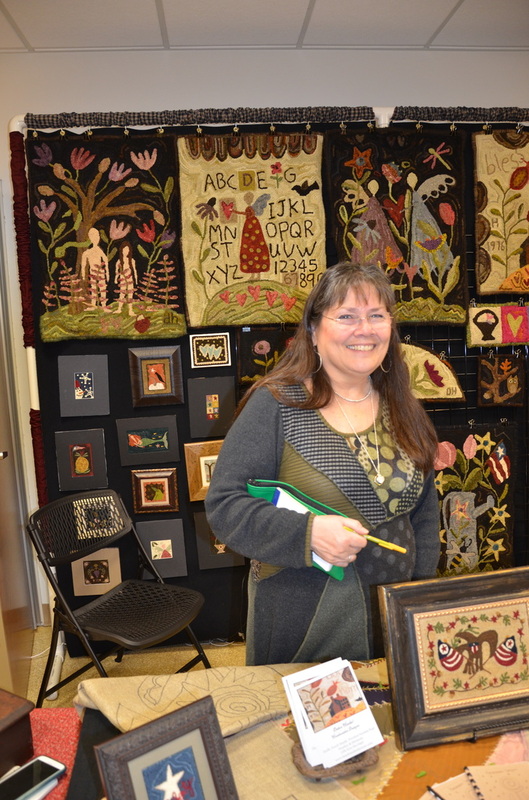 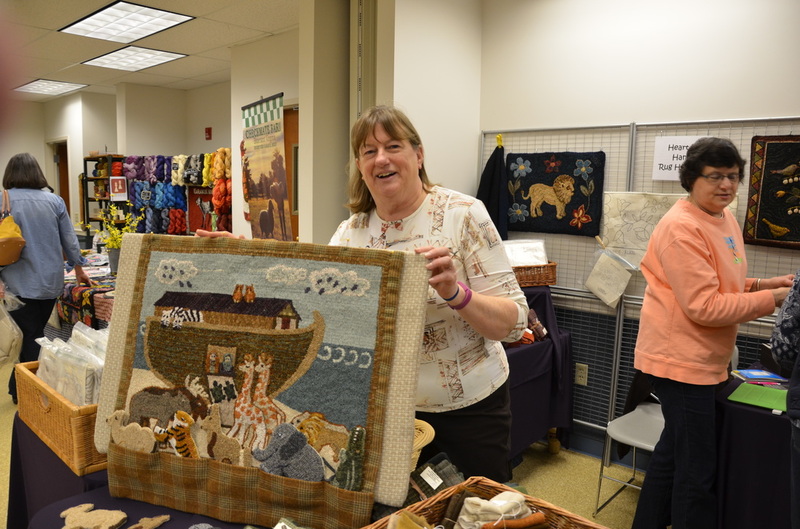 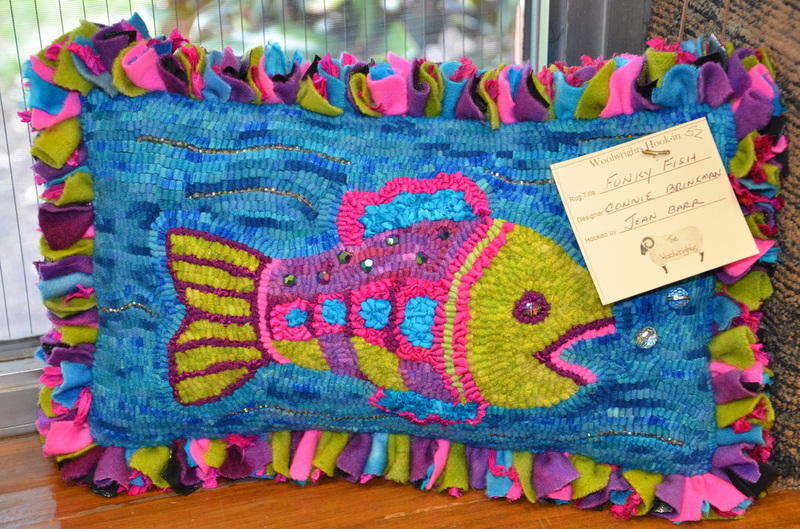 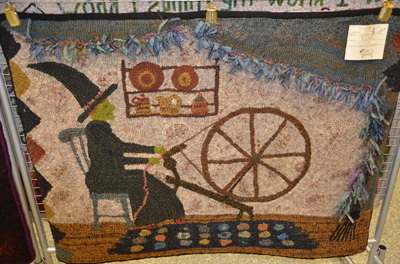 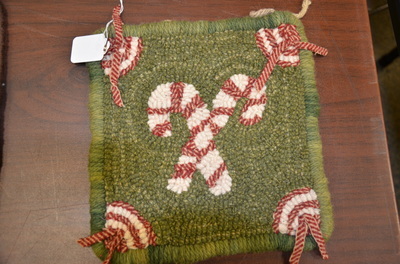 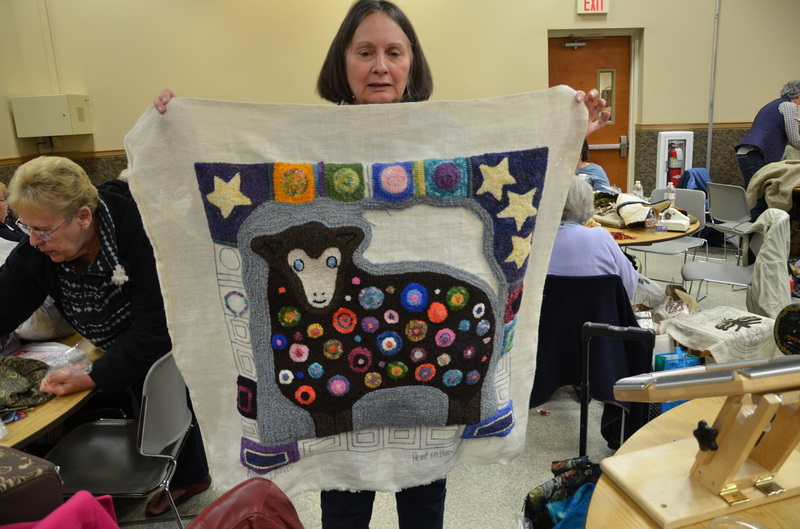 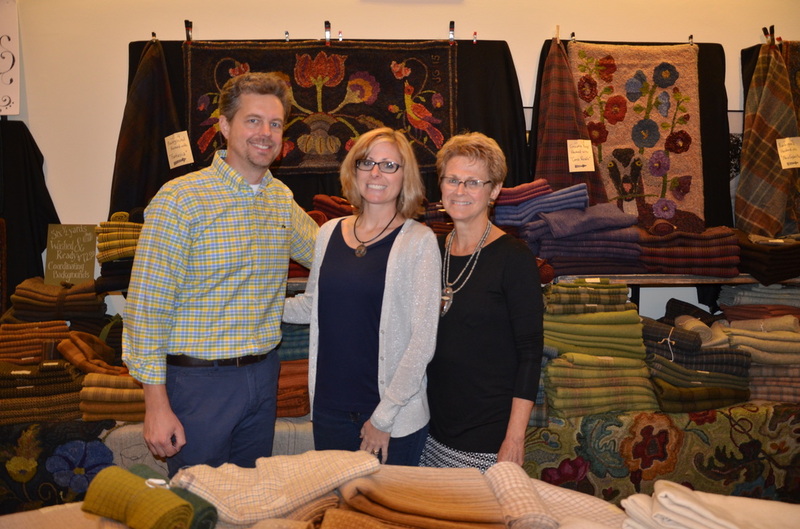 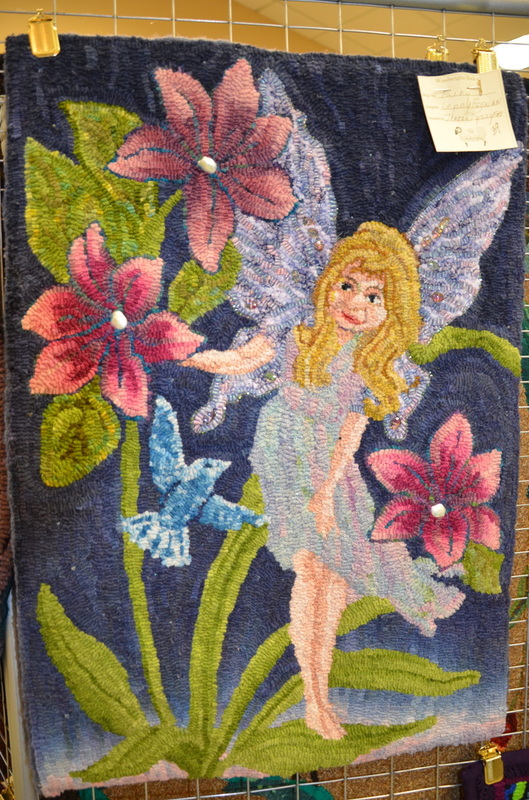 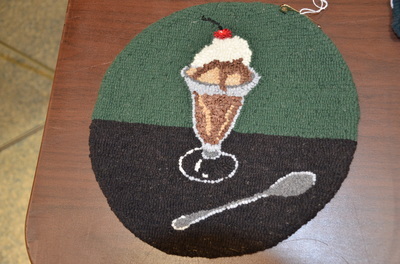 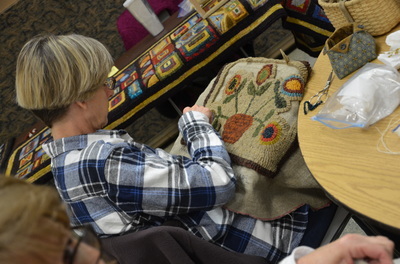 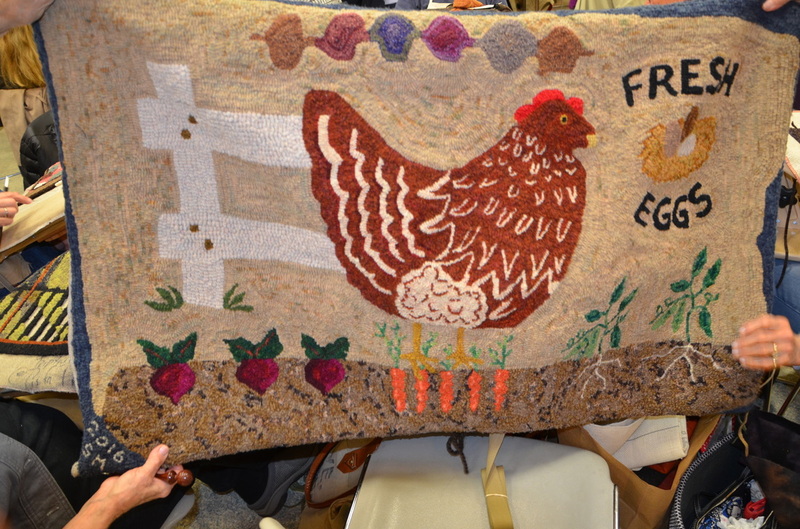 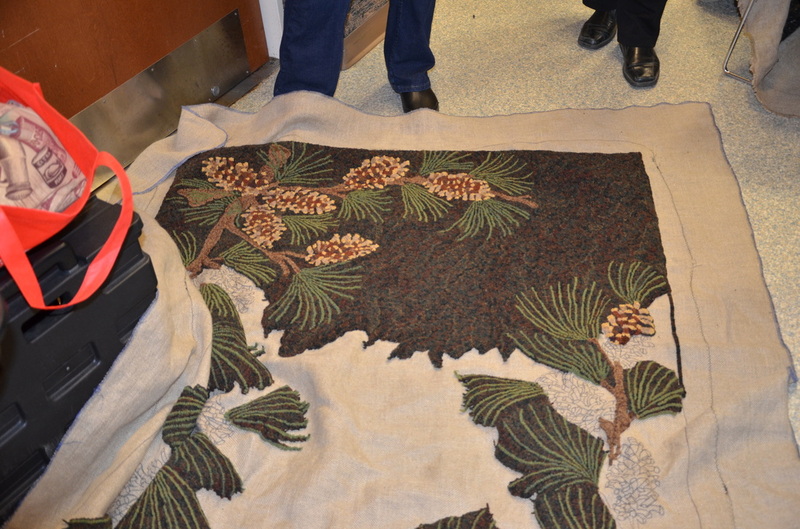 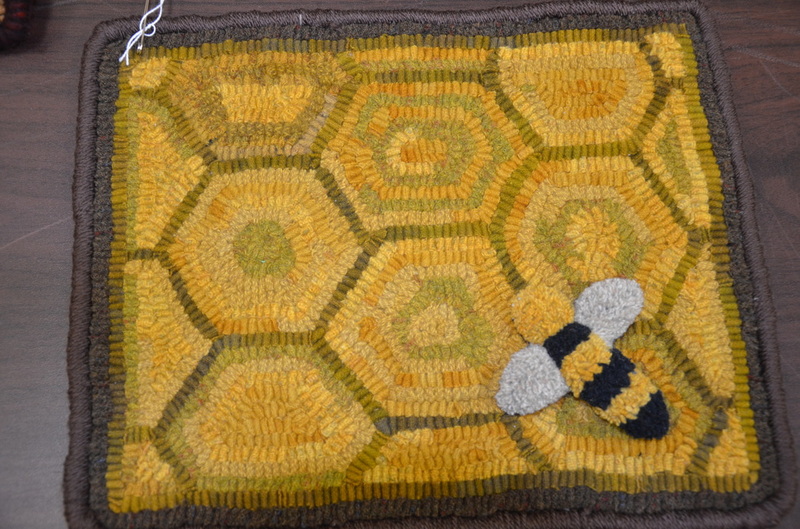 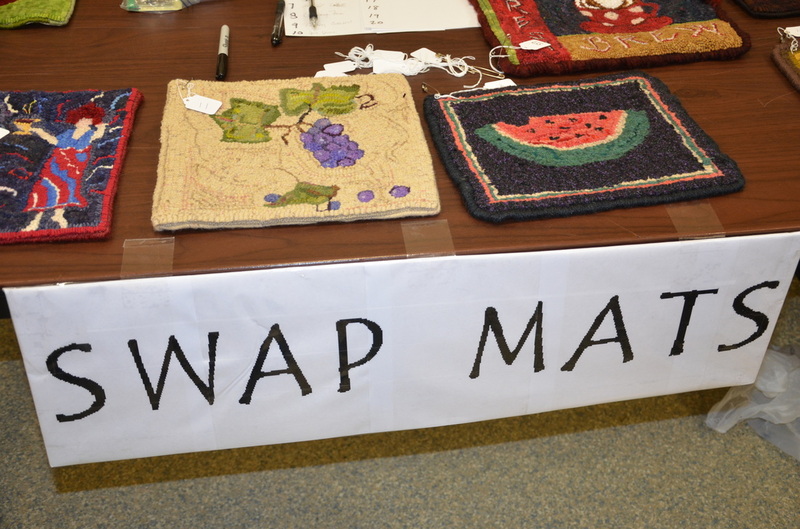 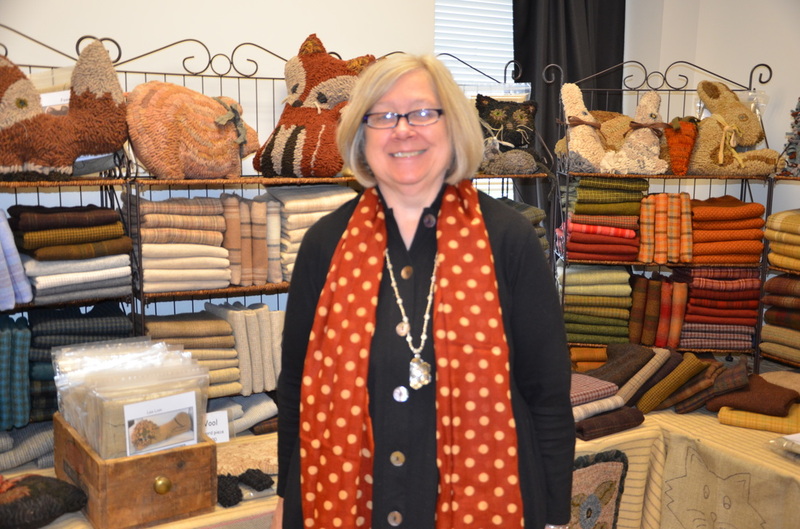 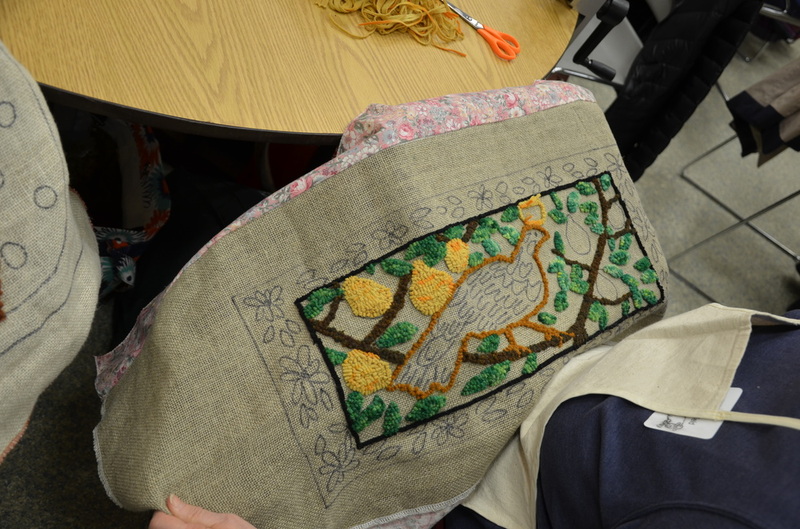 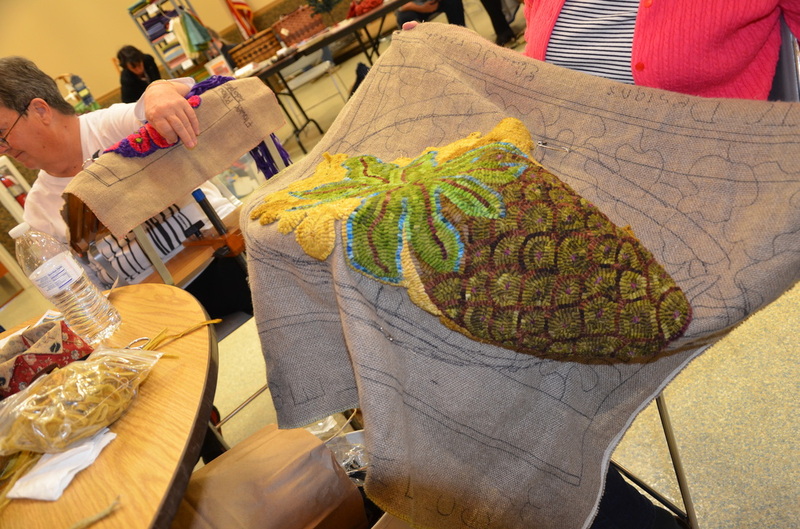 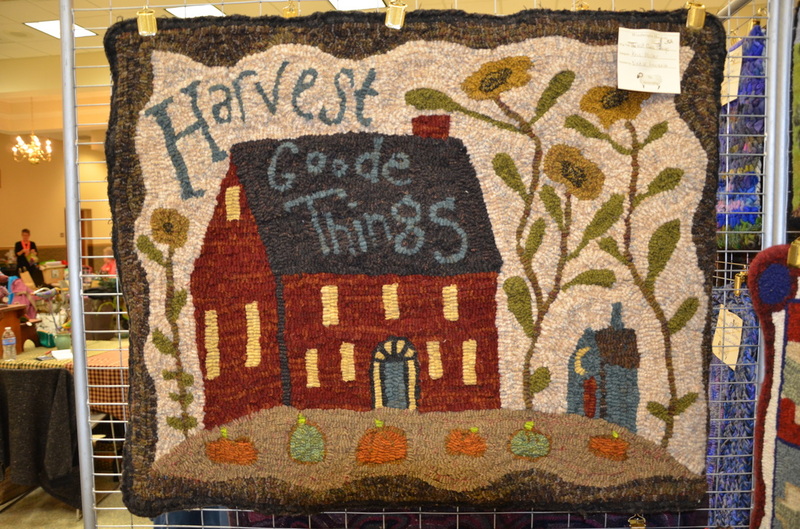 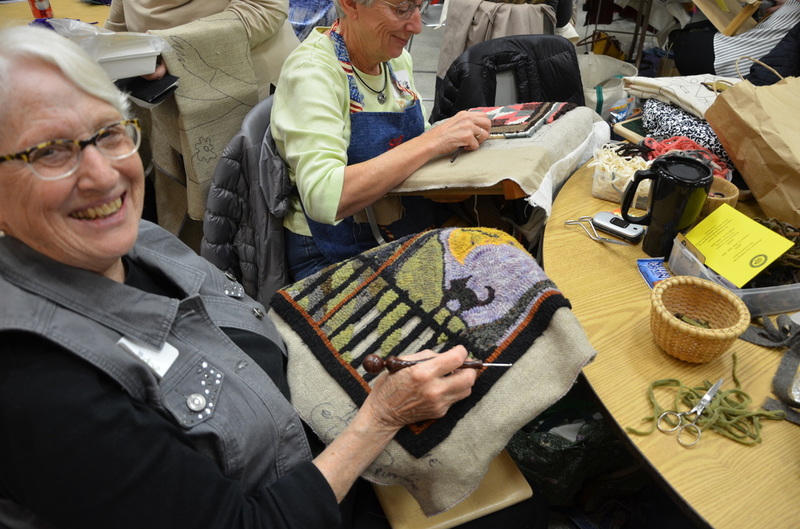 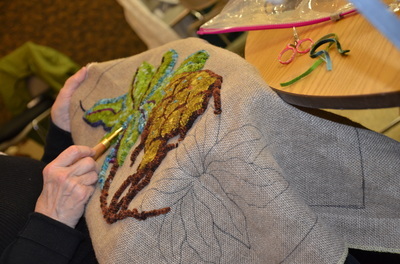 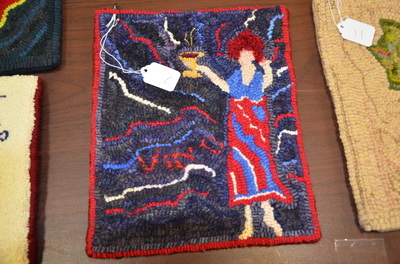 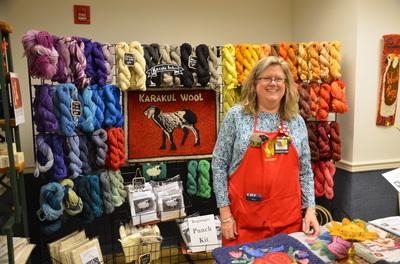 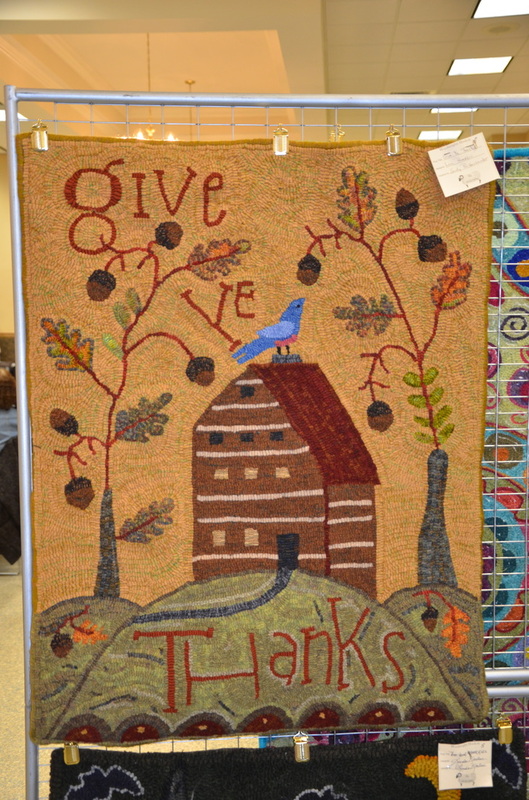 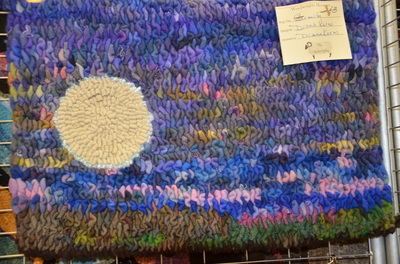 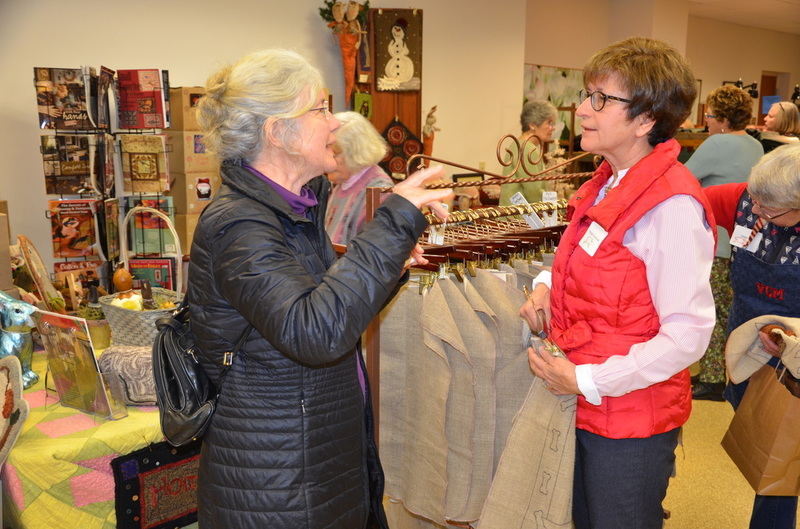 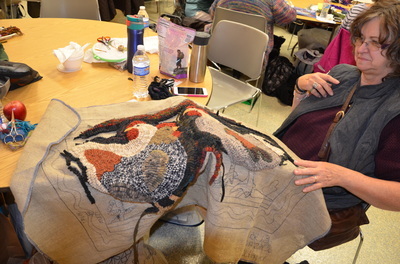 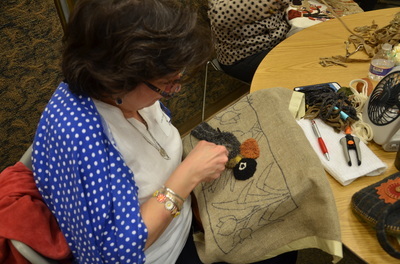 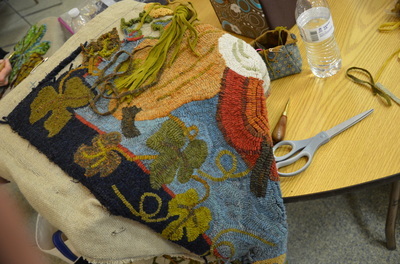 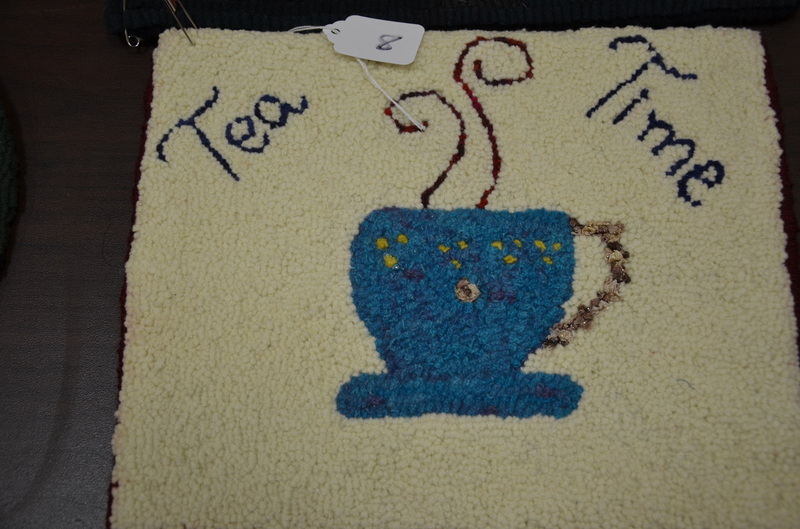 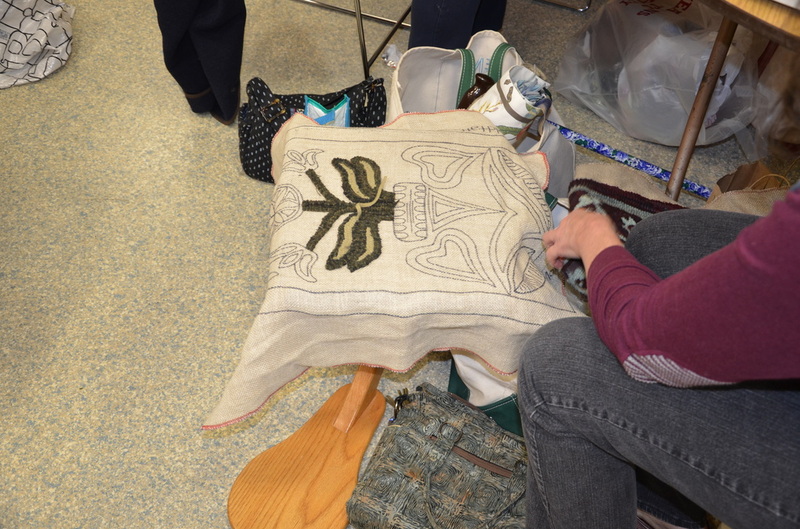 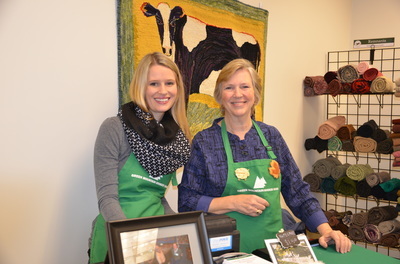 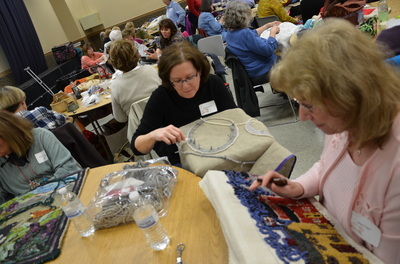 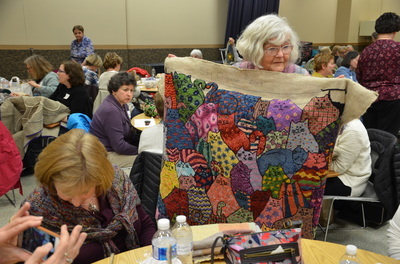 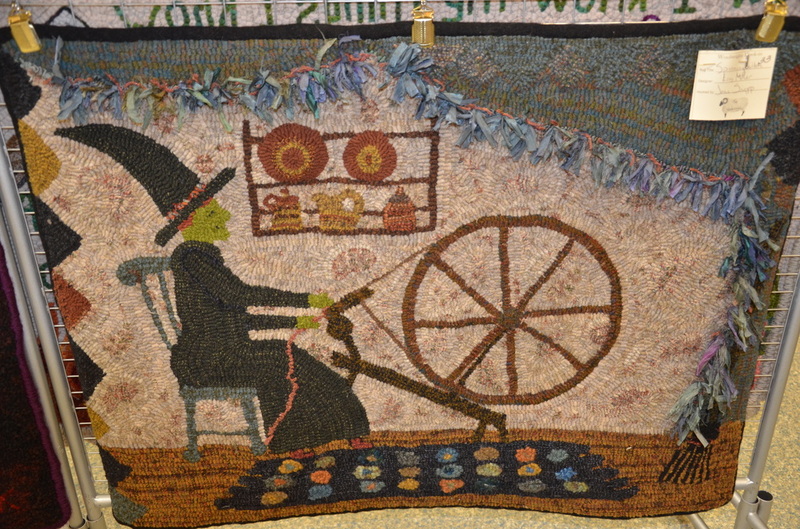 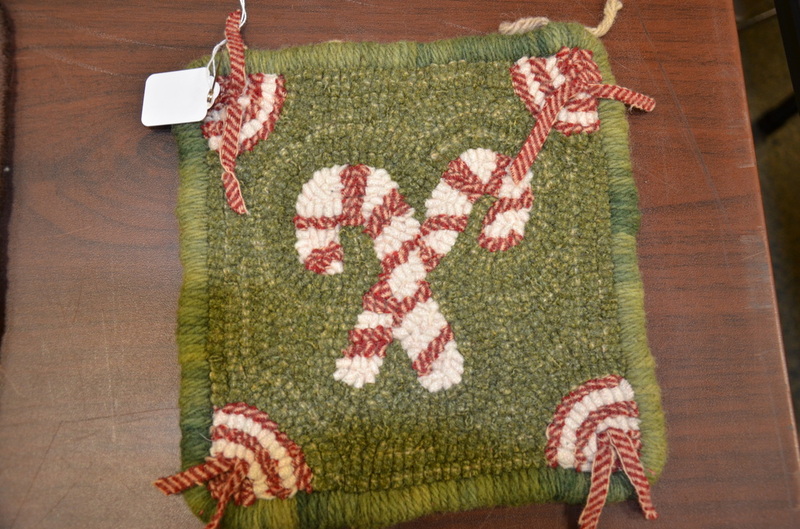 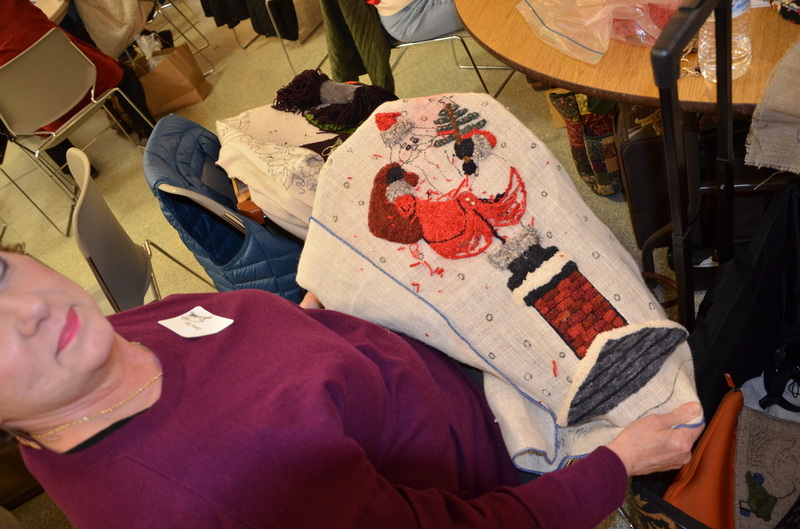 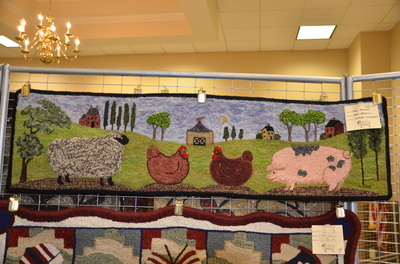 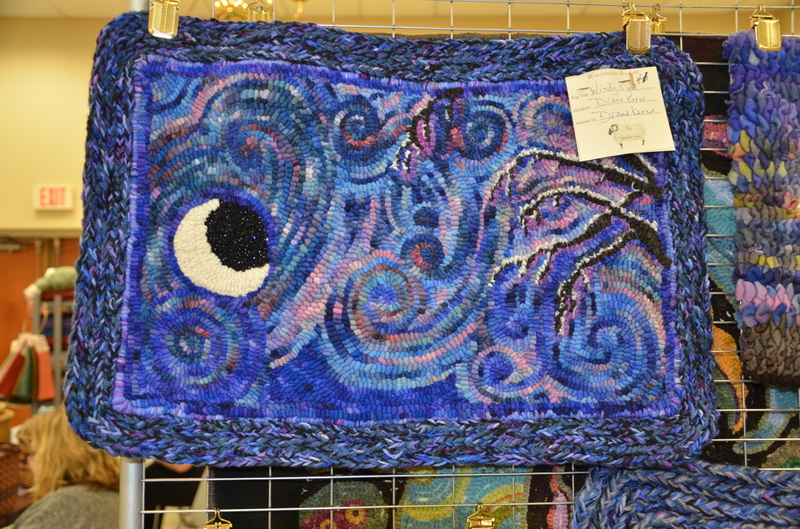 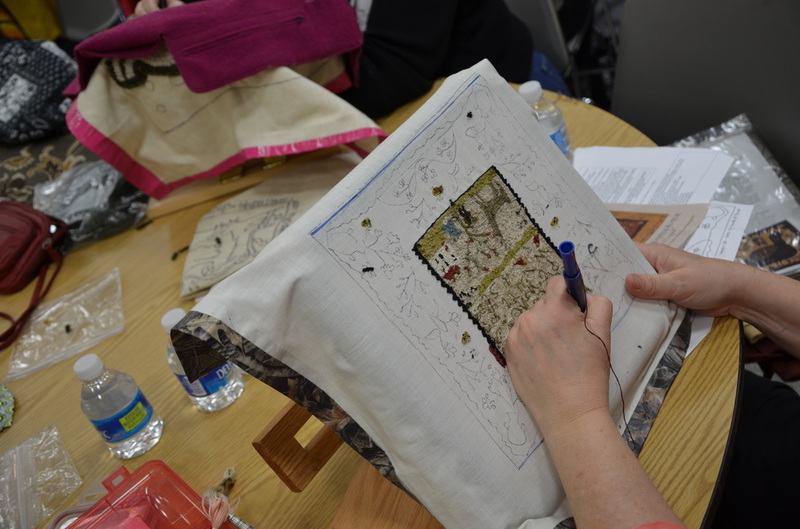 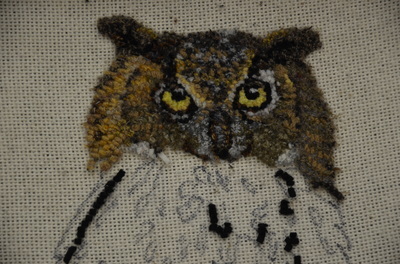 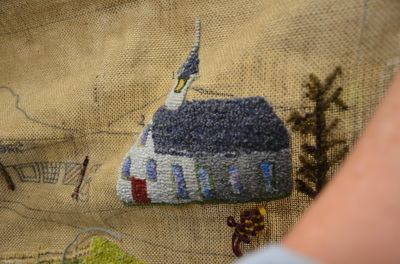 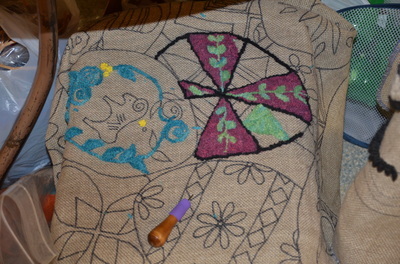 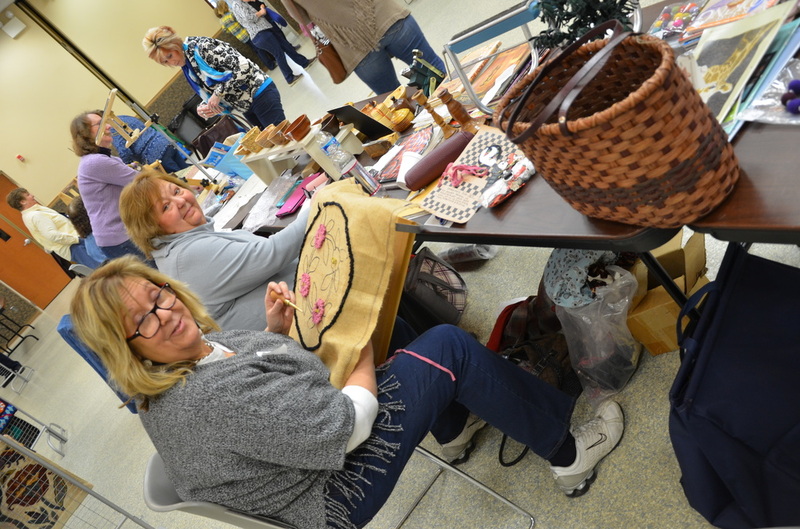 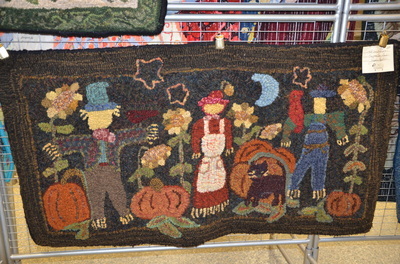 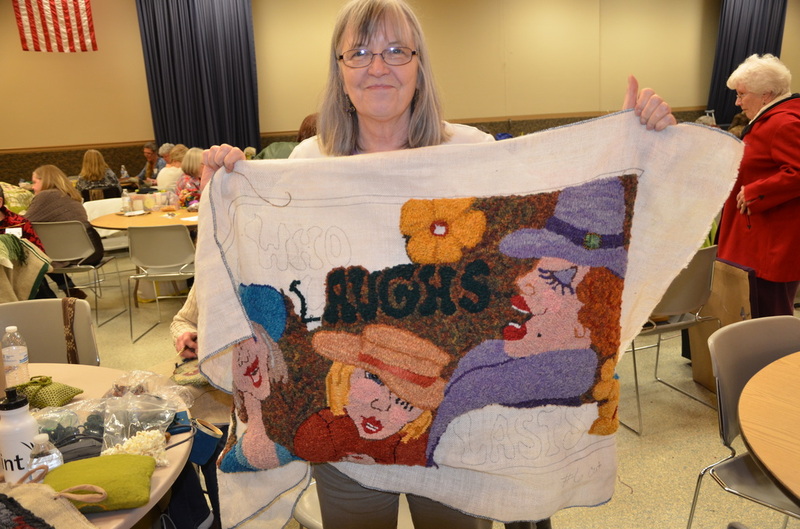 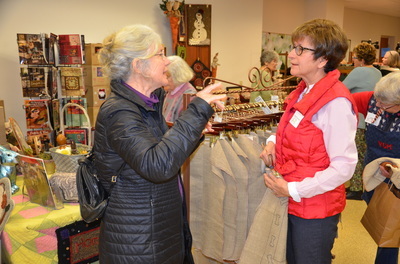 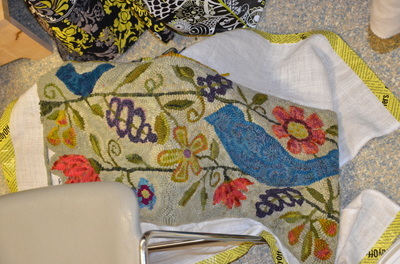 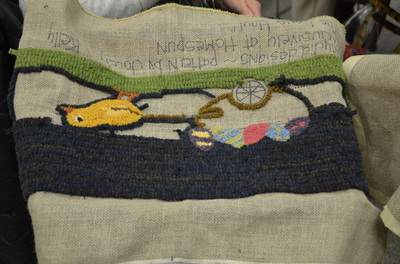 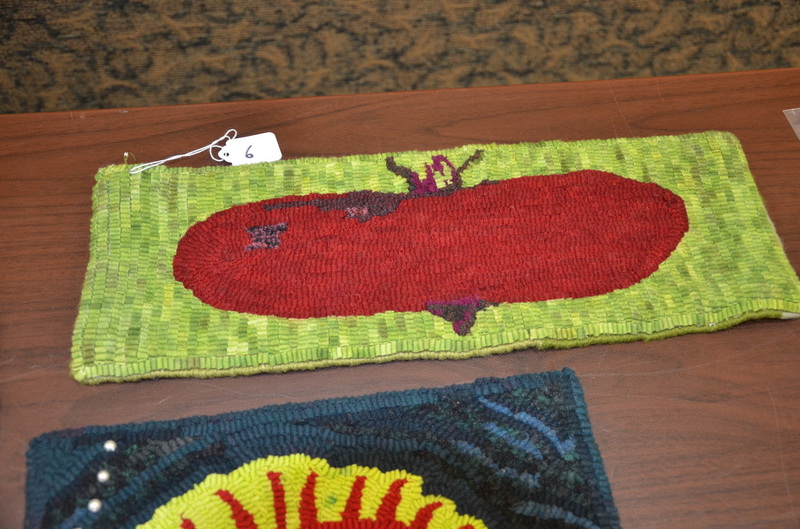 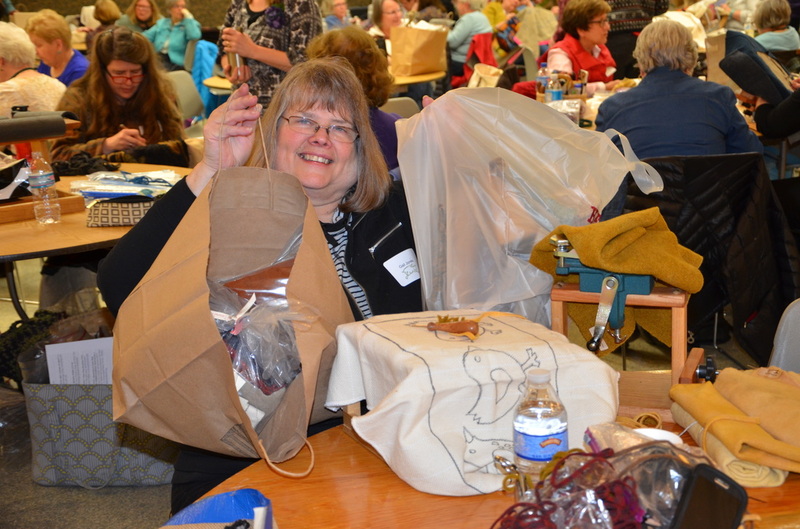 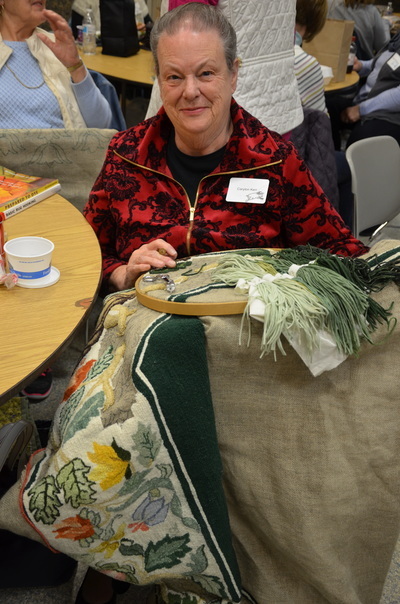 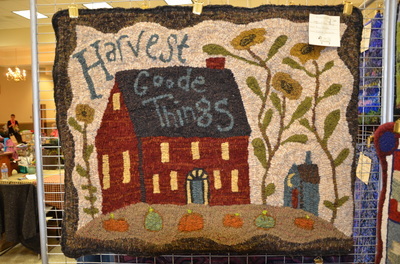 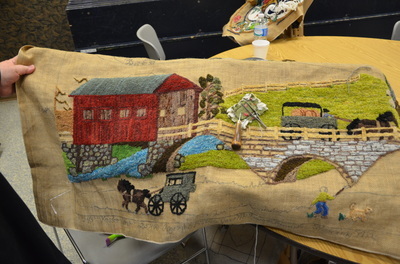 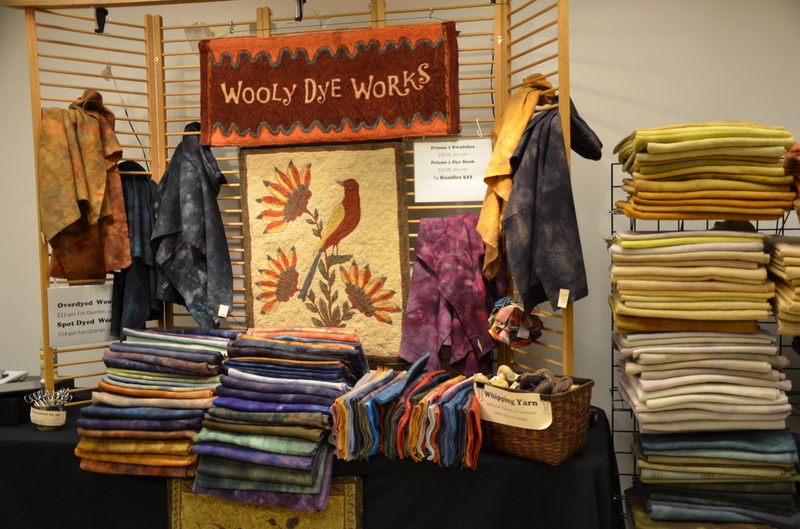 The Woolwrights Rug Hooking Guild held our 2016 Annual Spring Hook-In on March 19, 2016, at the Farm & Home Center in Lancaster County. We had a great day with a record number of vendors for this event with one vendor coming from as far as Missouri and, of course, our own members had their own vendor's table which was just wonderful. 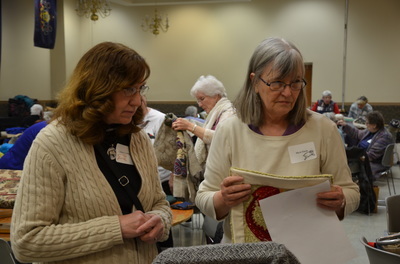 We had registrants travel from far out west and up north in Canada. 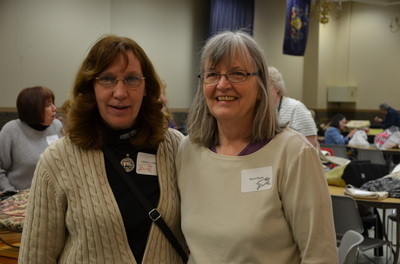 There was even a meeting between two friends, who are also hookers, and had not seen each other in 43 years. 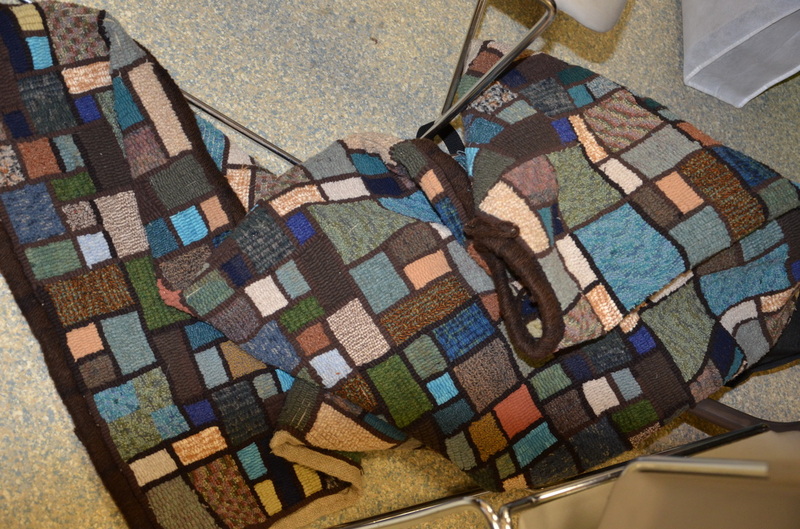 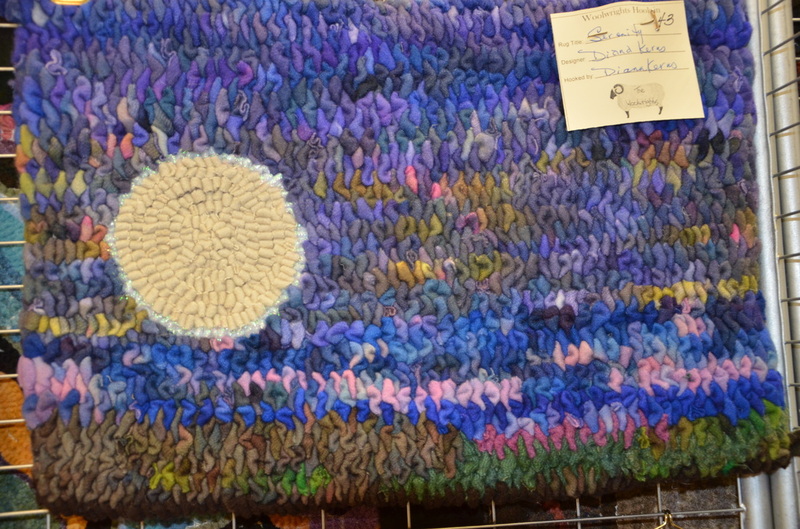 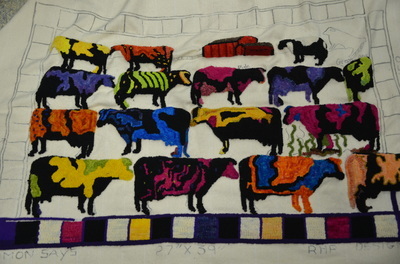 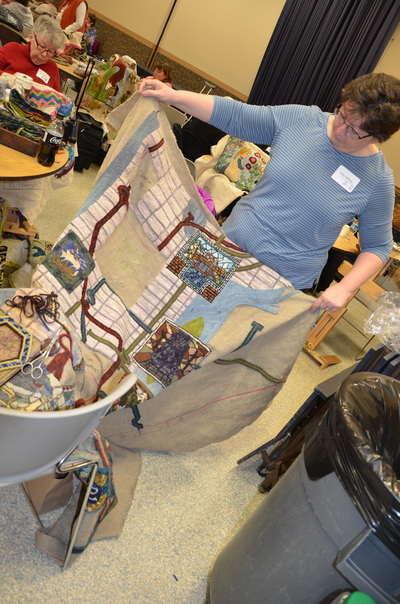 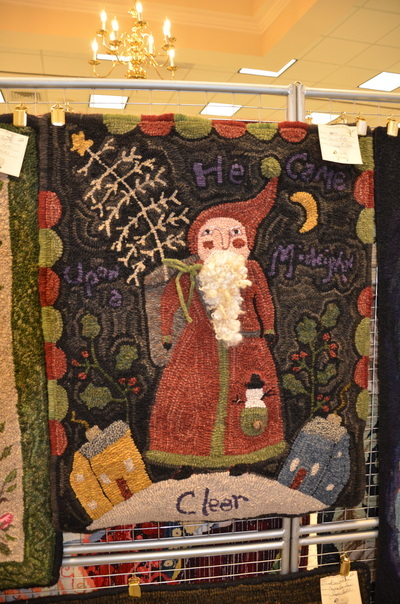 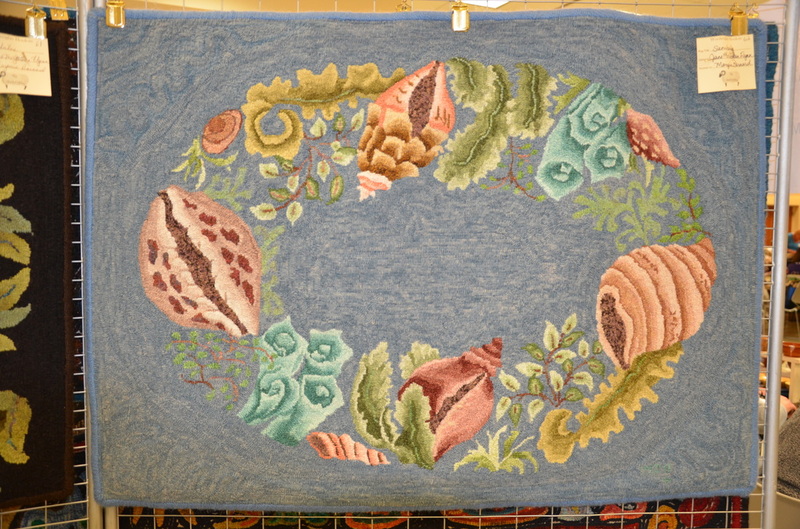 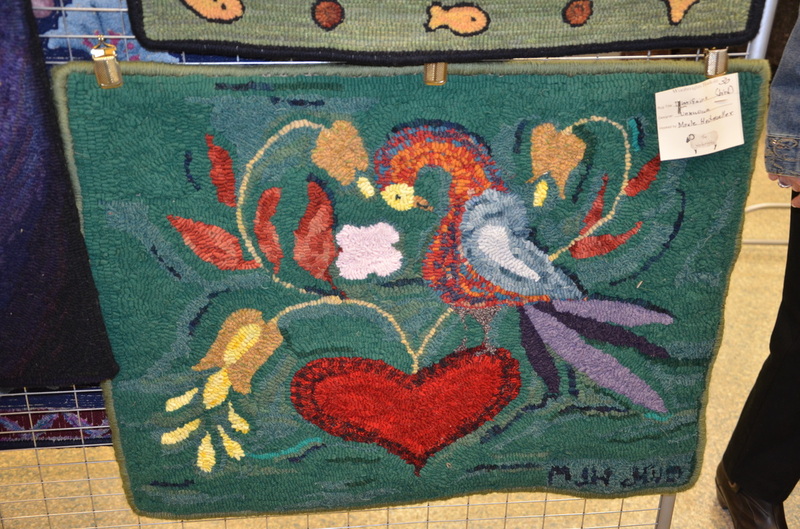 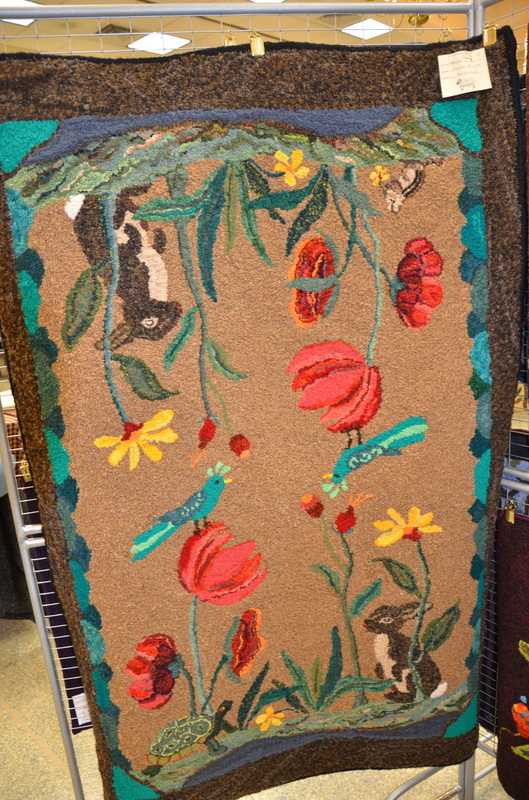 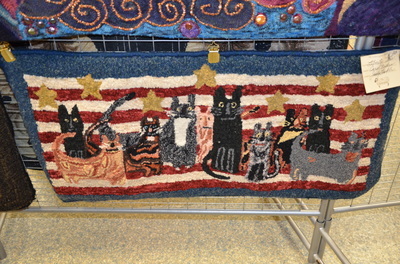 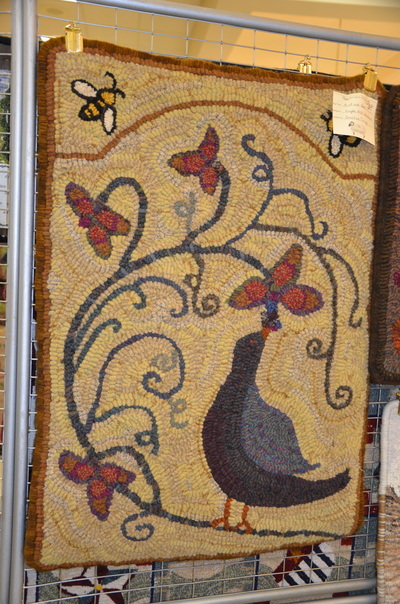 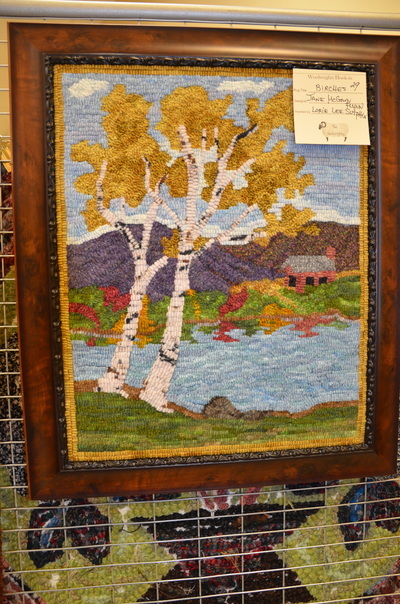 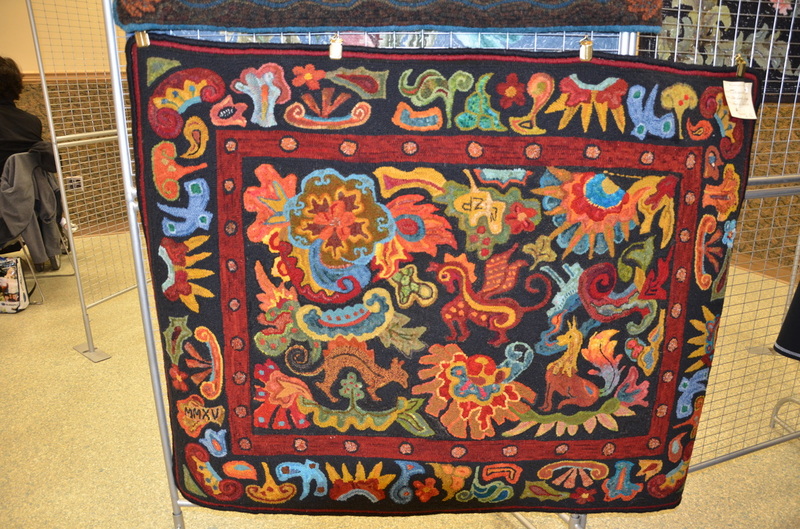 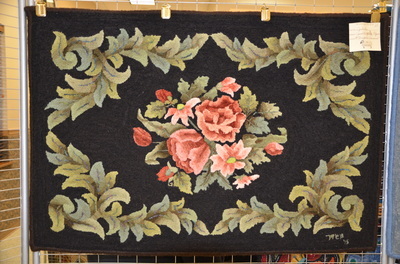 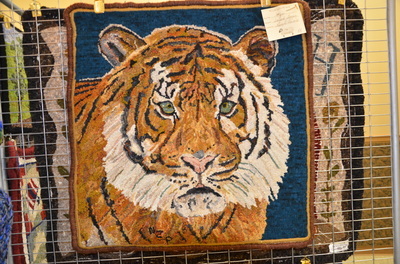 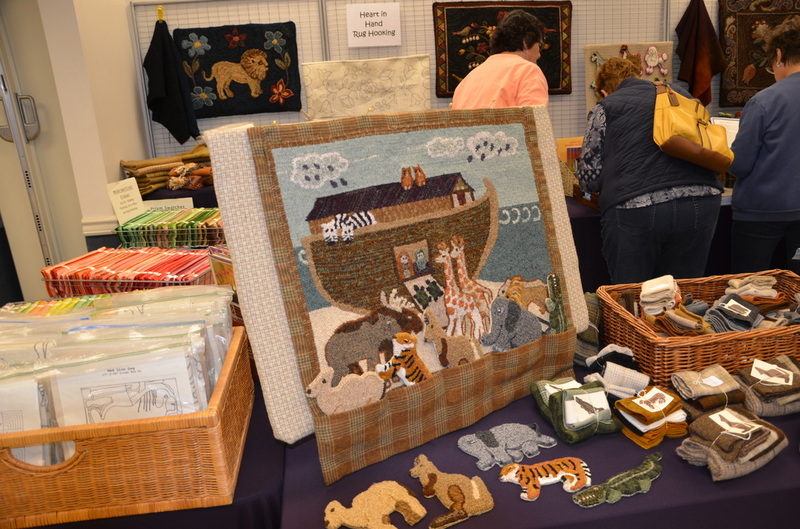 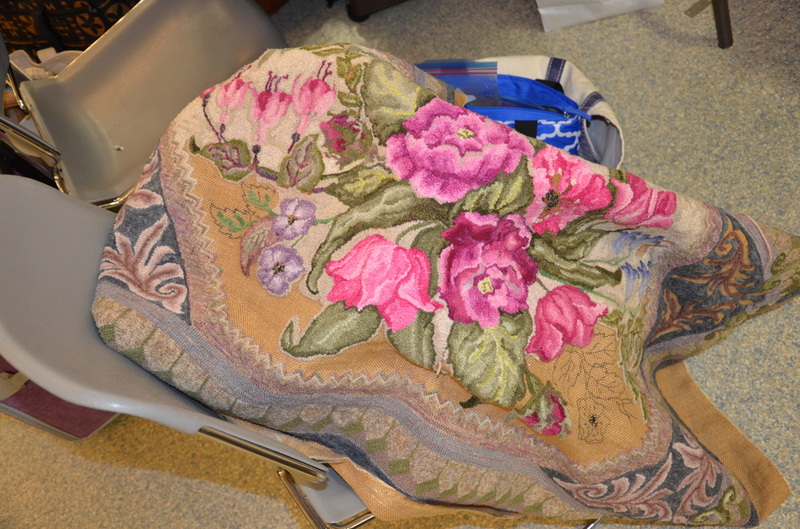 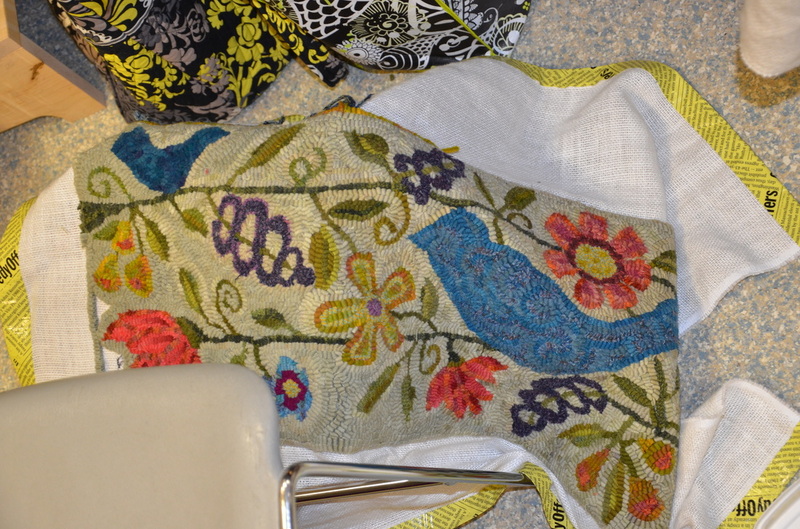 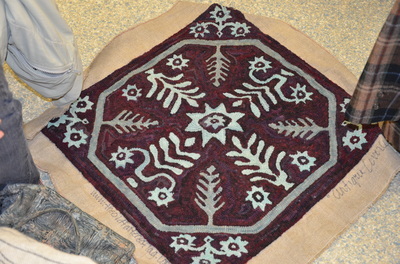 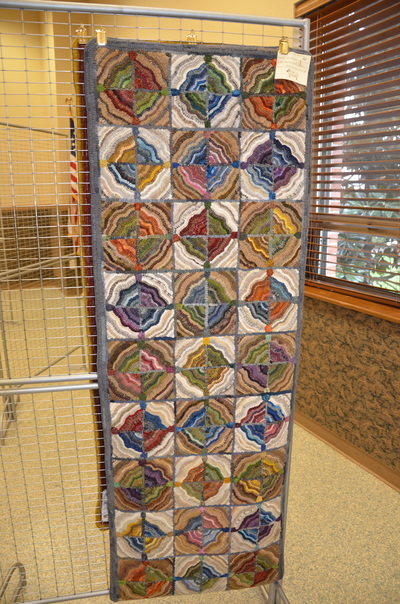 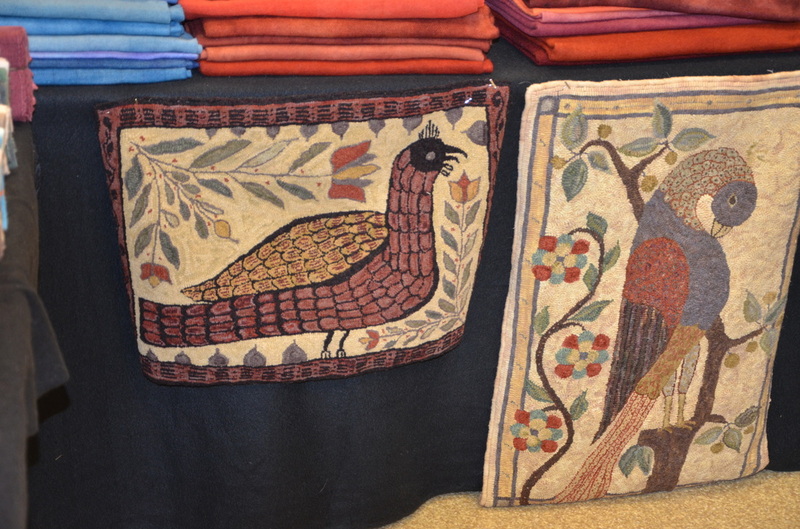 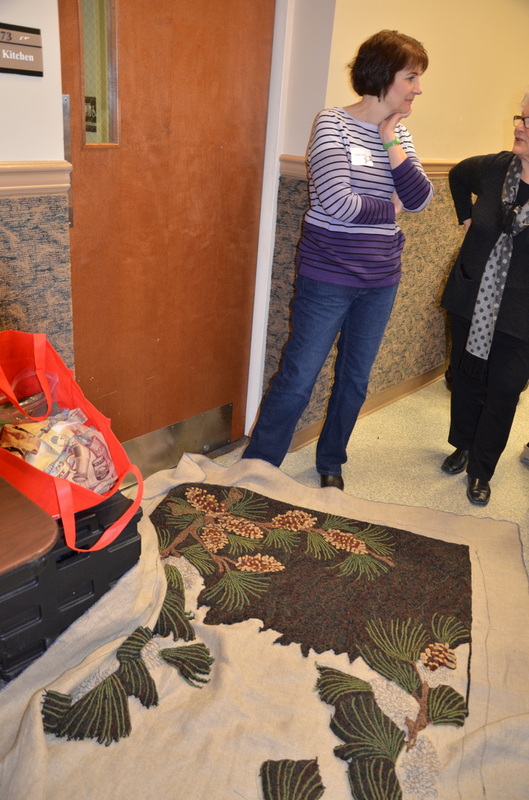 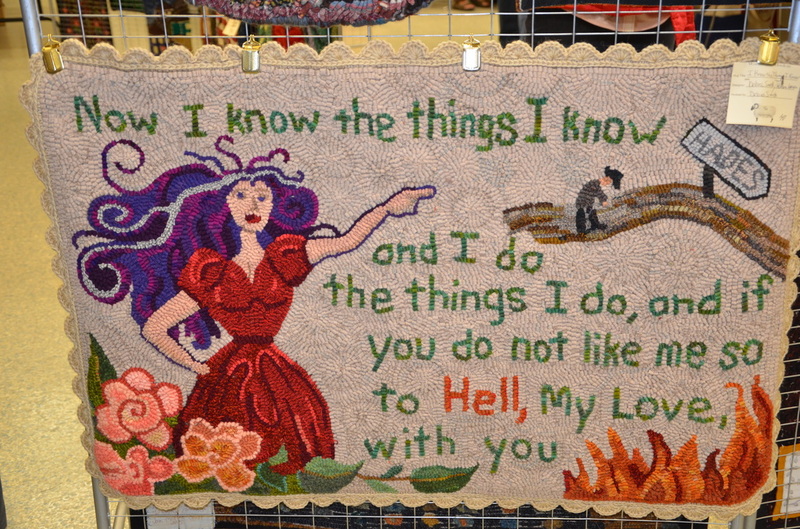 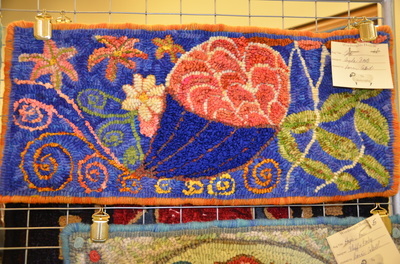 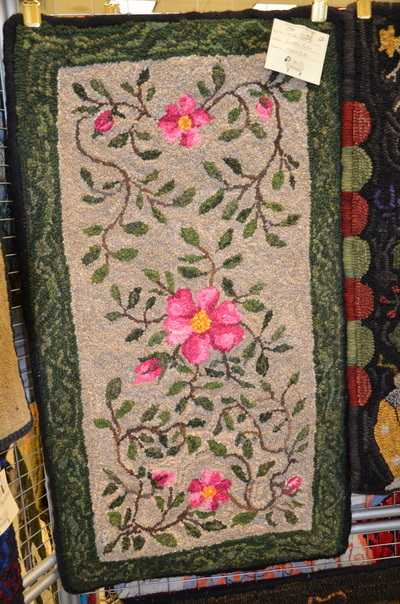 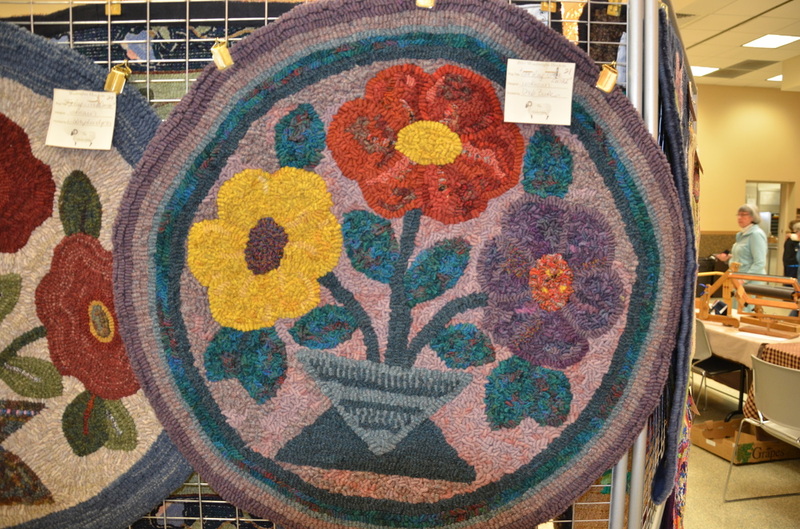 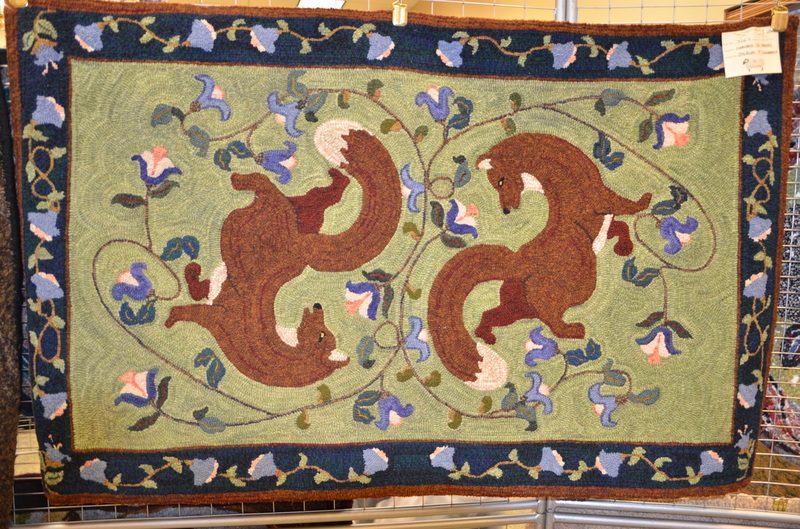 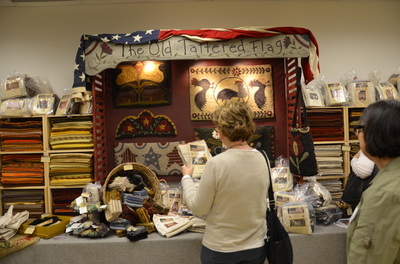 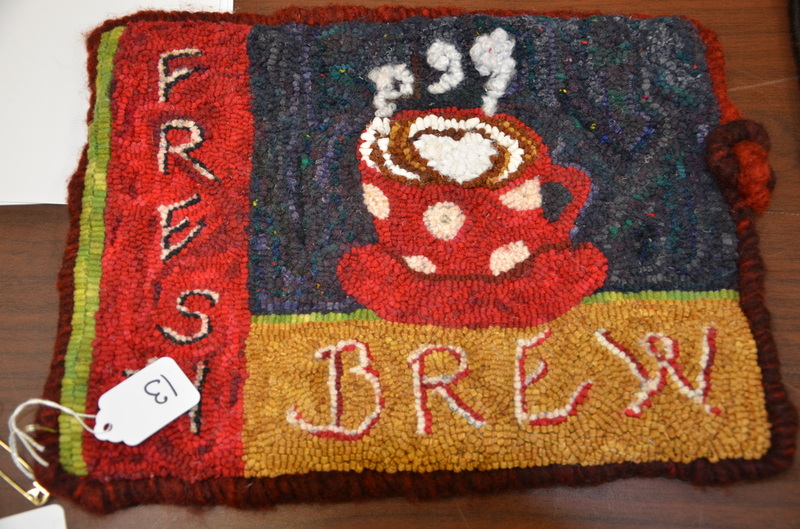 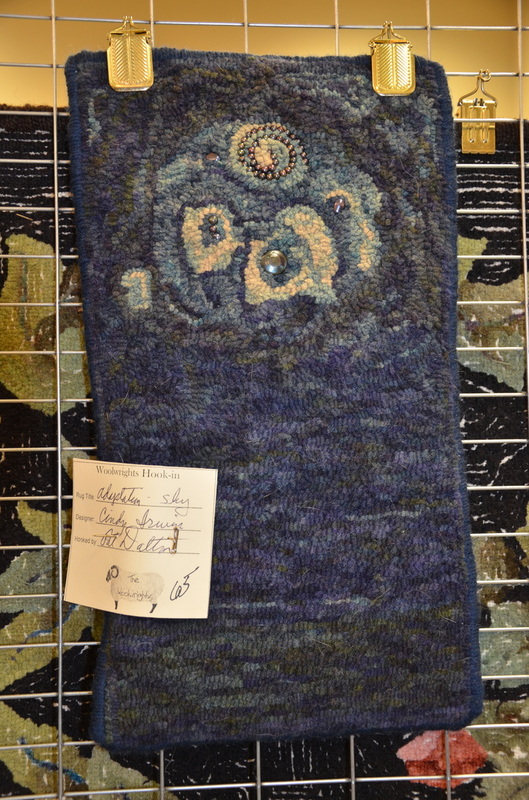 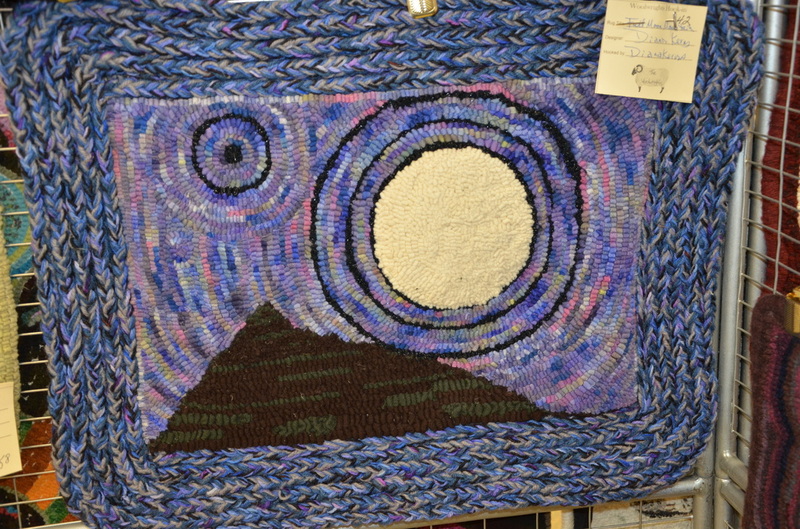 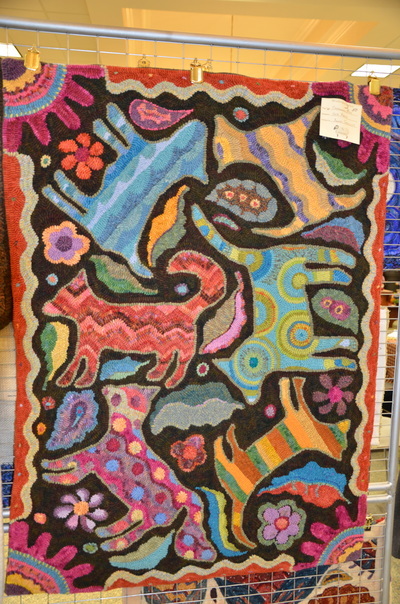 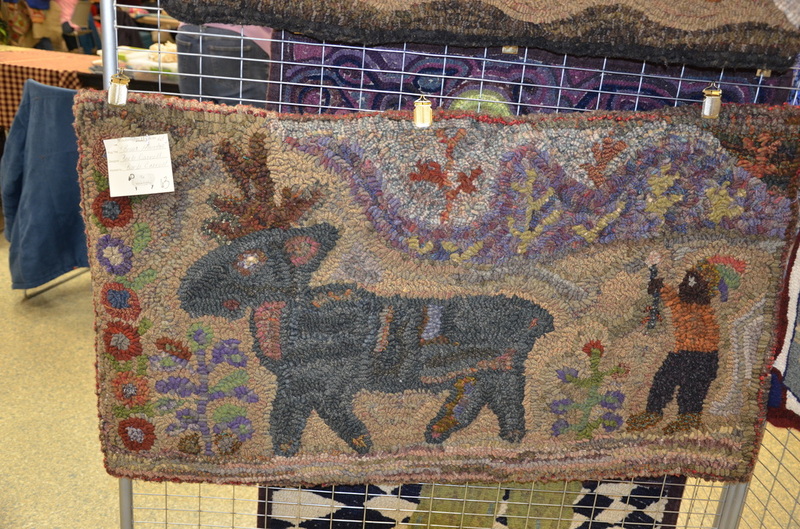 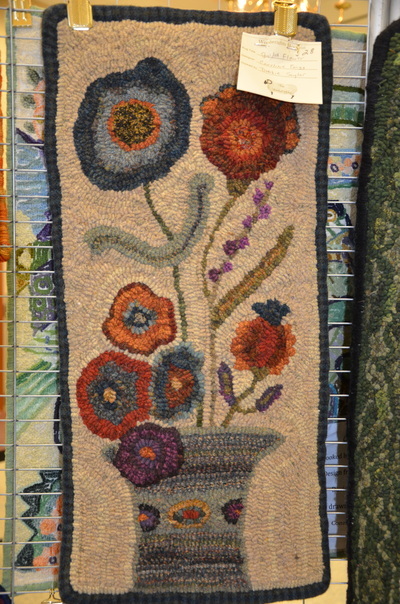 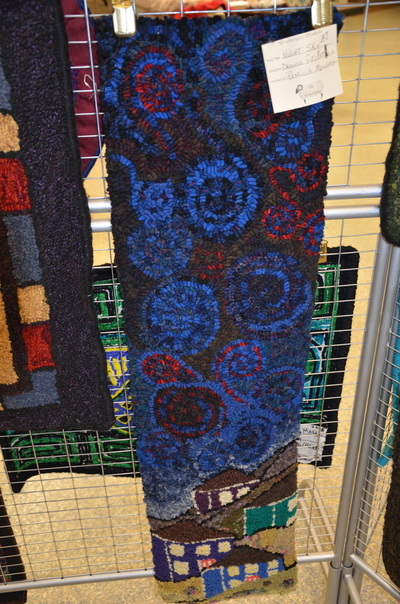 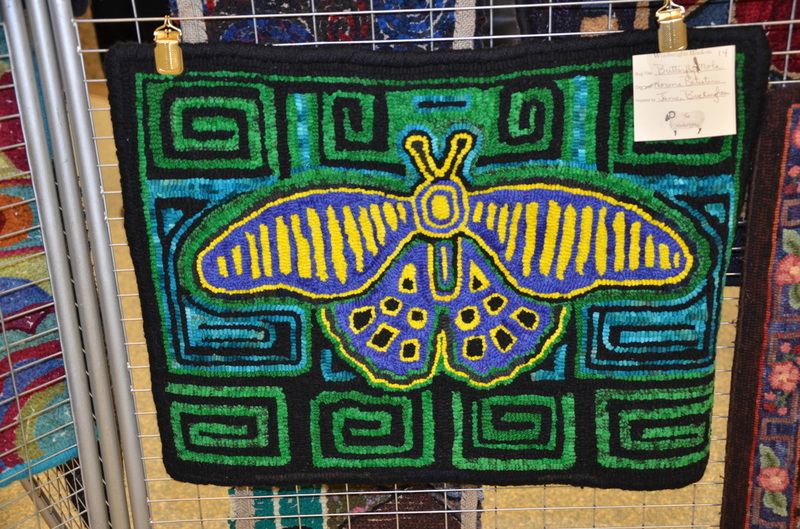 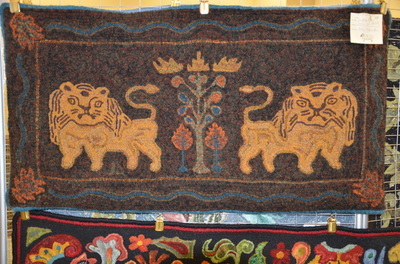 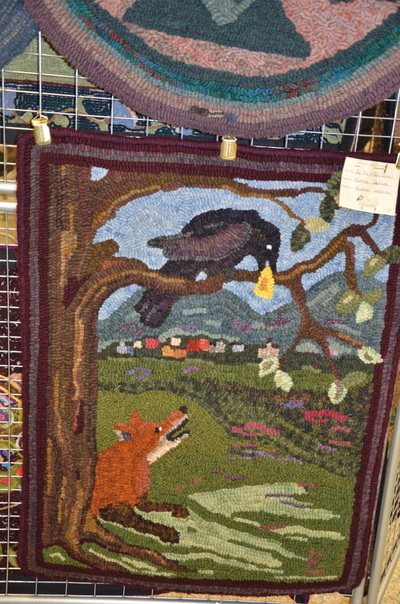 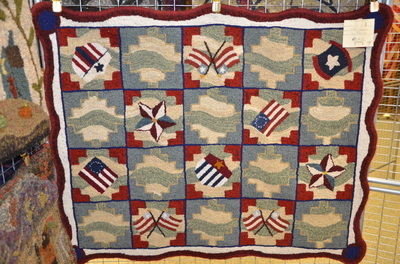 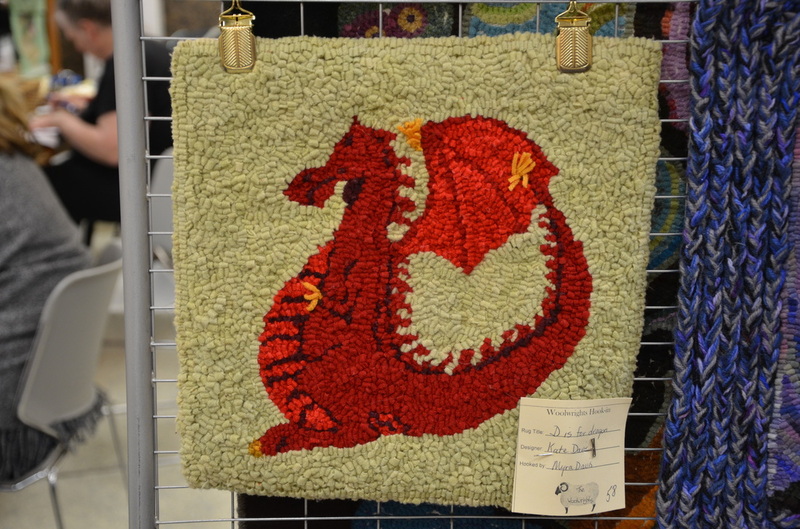 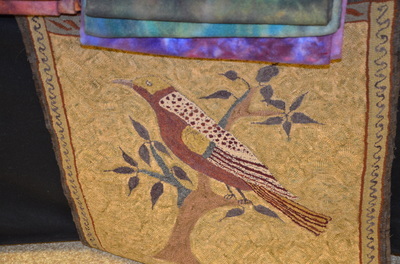 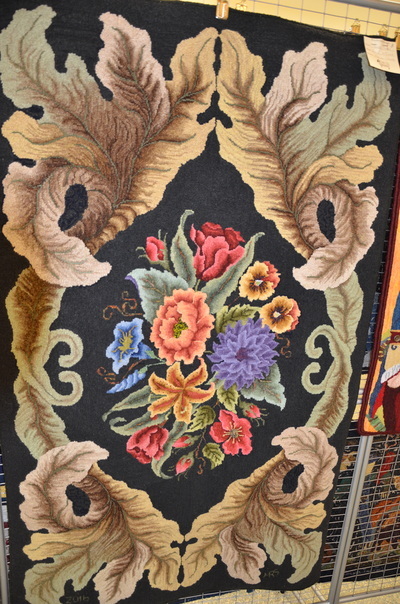 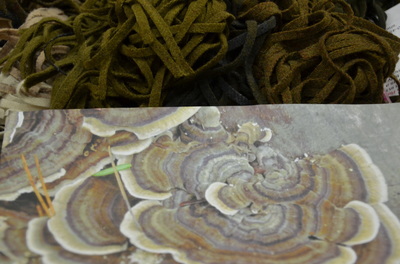 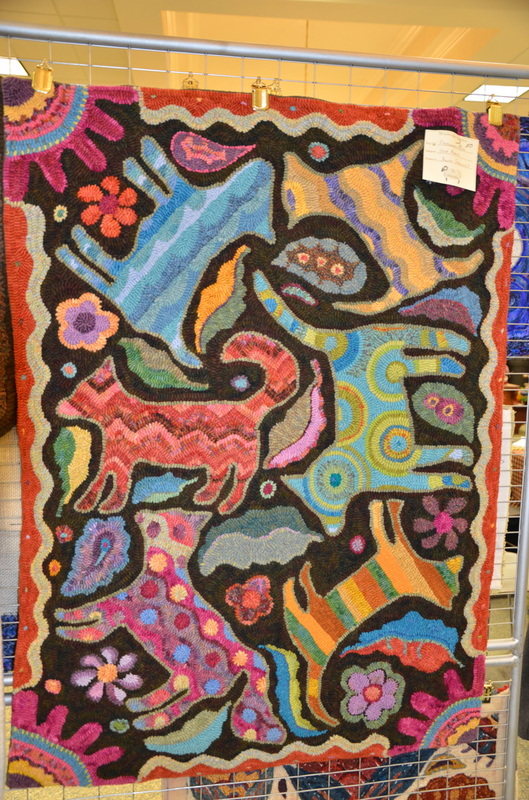 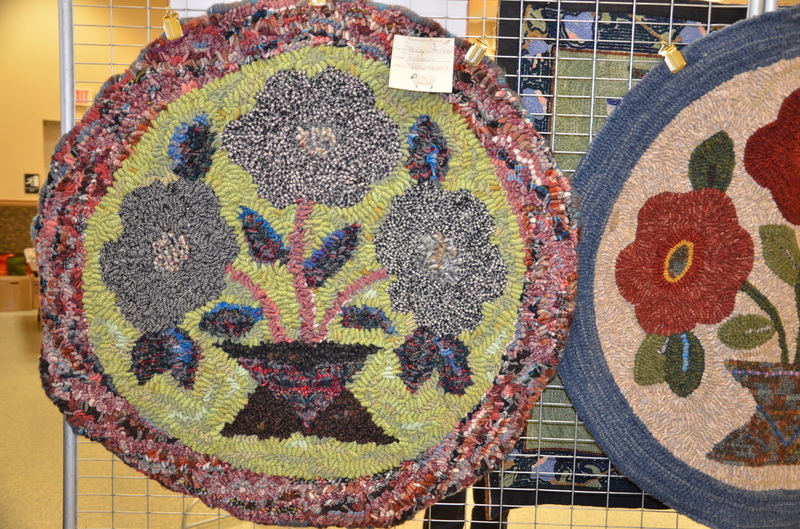 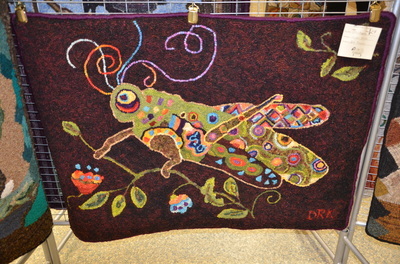 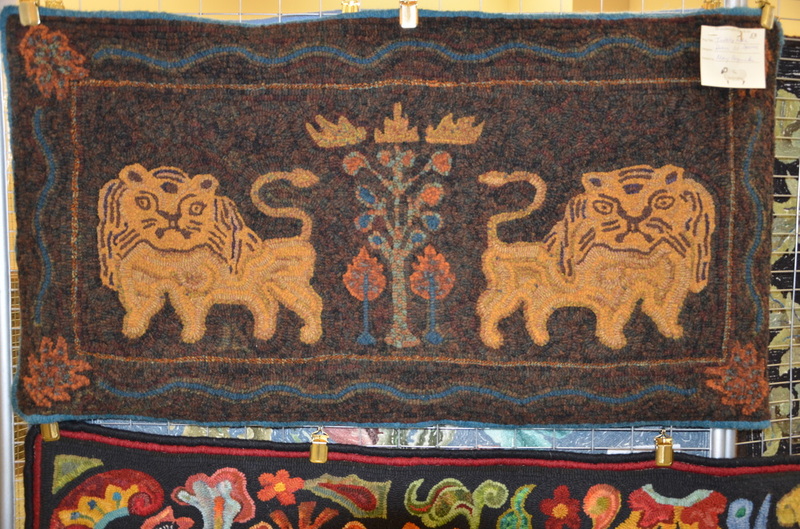 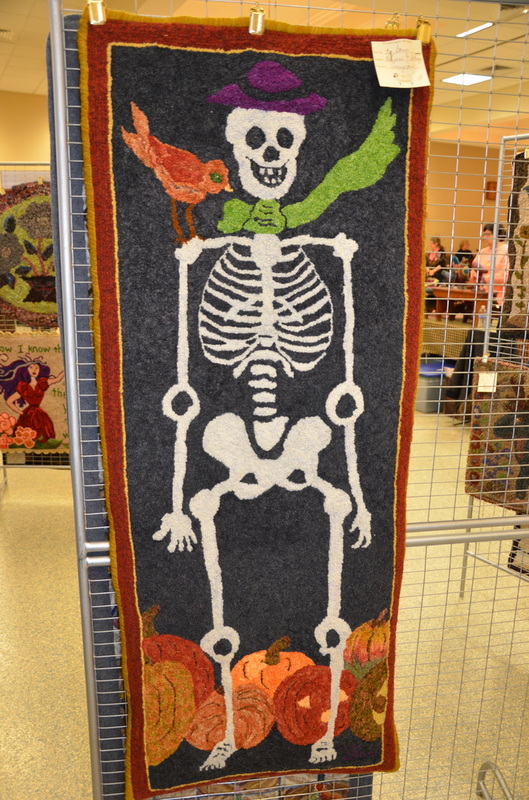 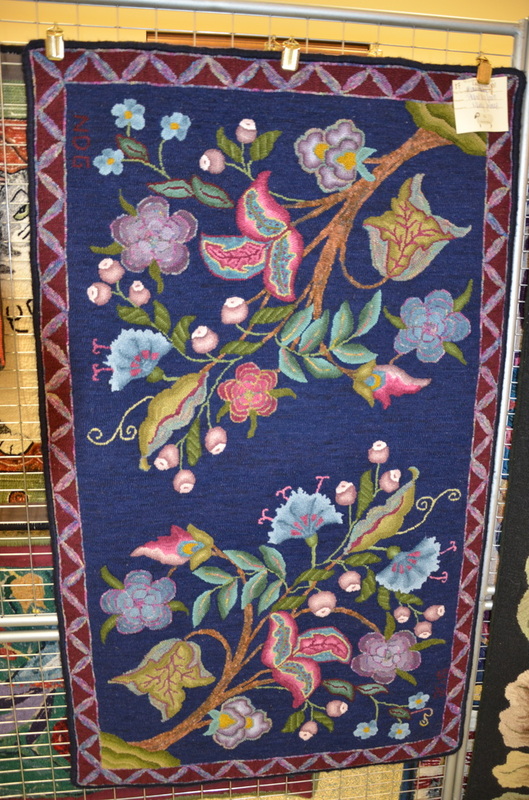 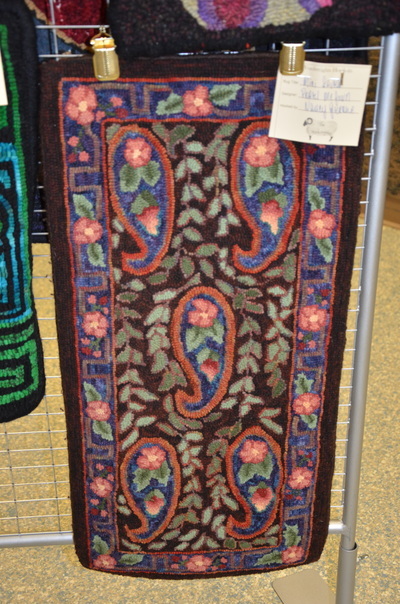 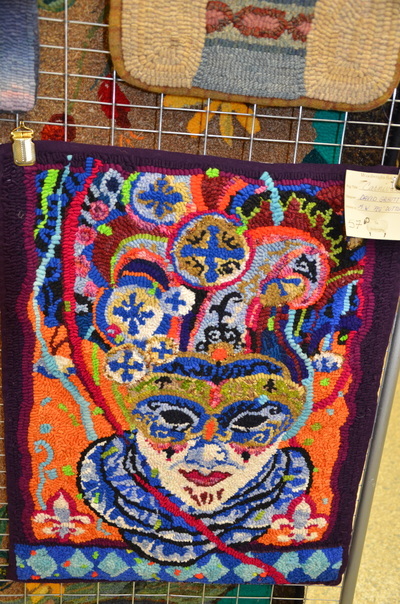 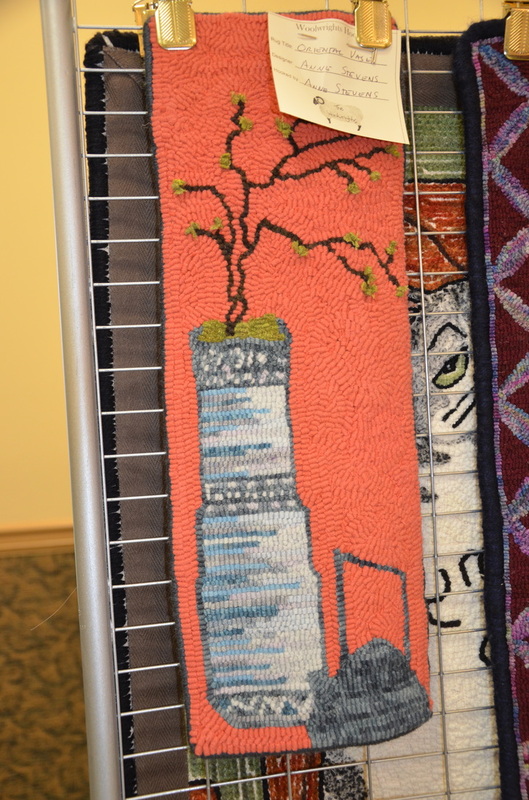 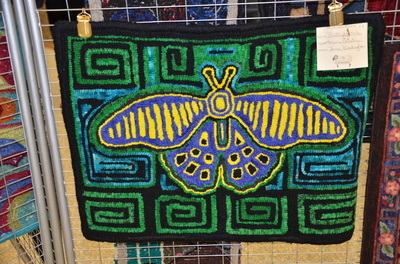 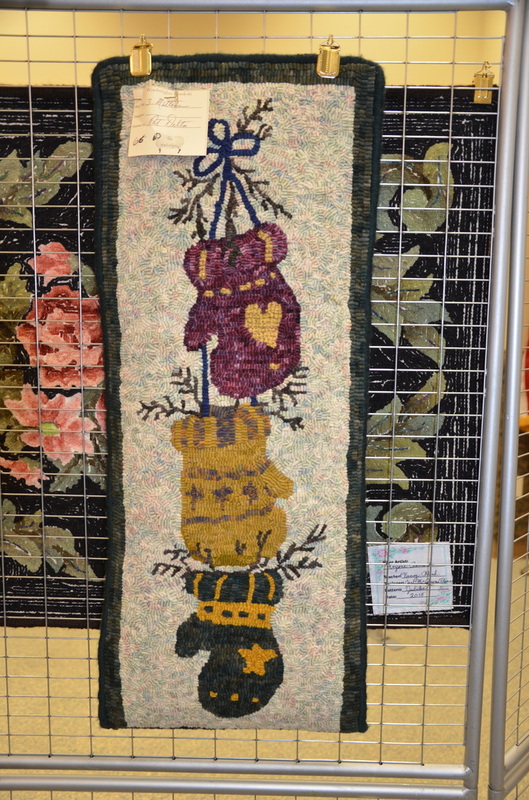 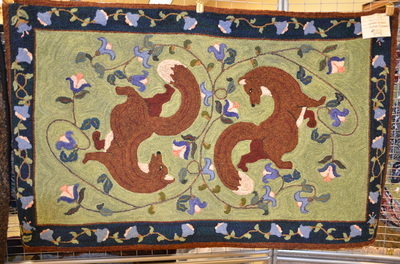 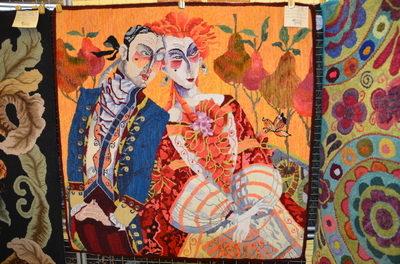 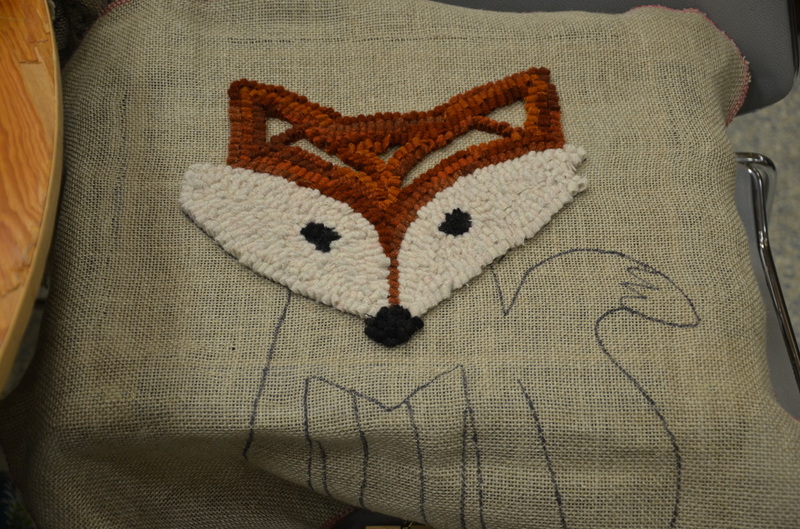 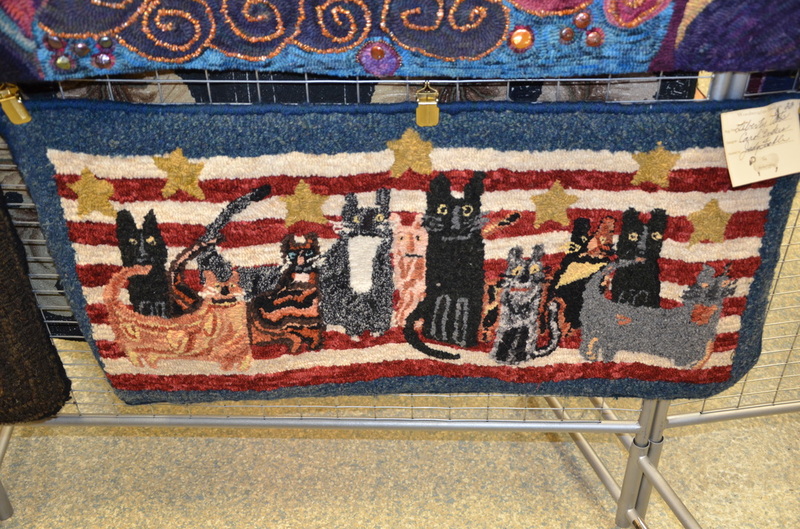 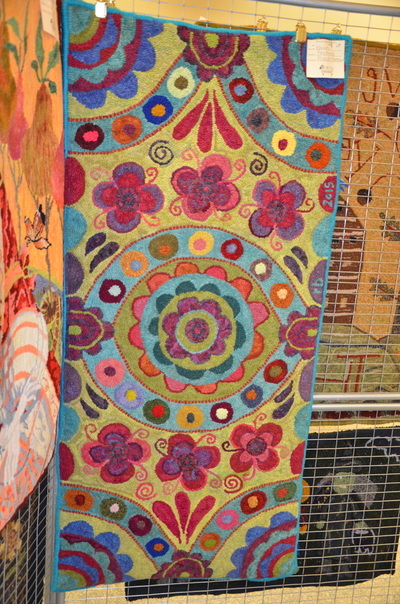 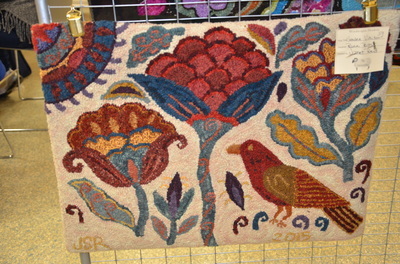 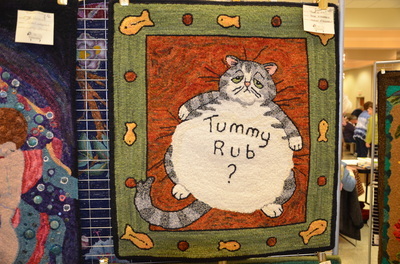 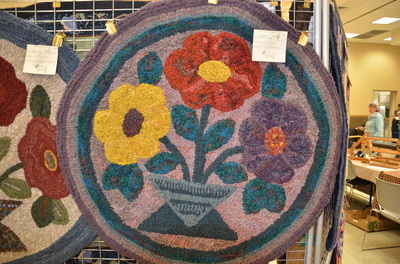 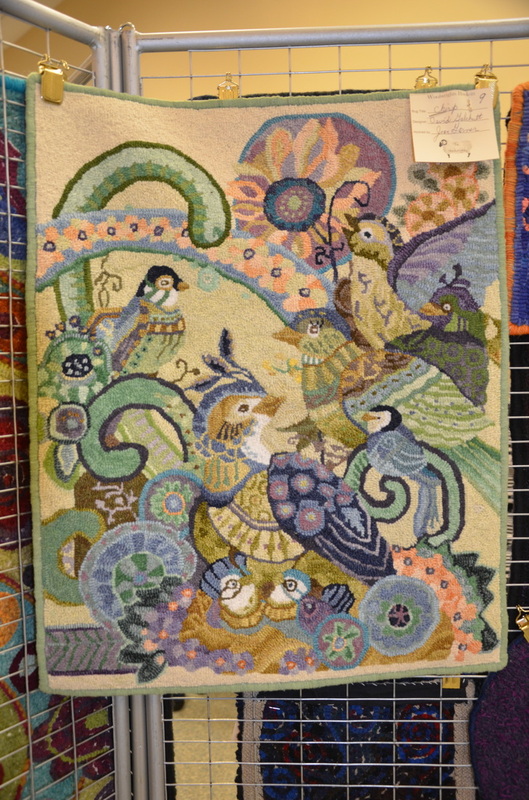 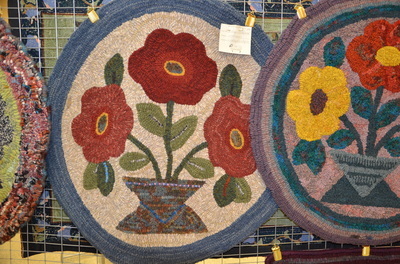 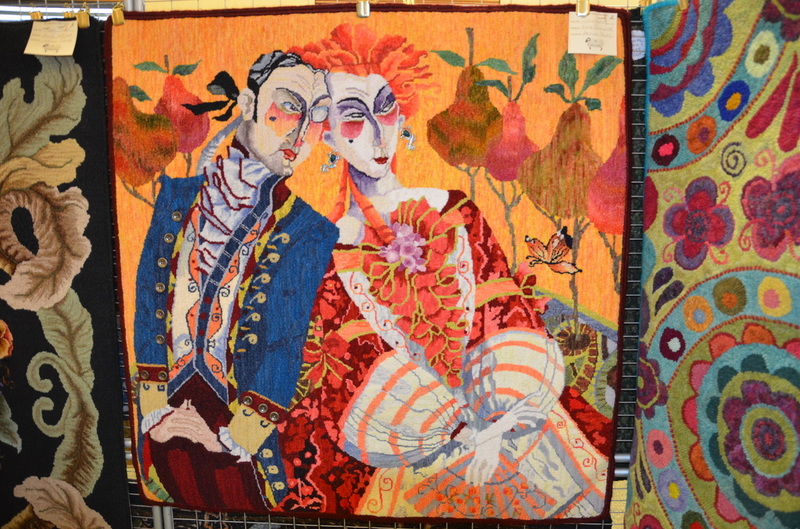 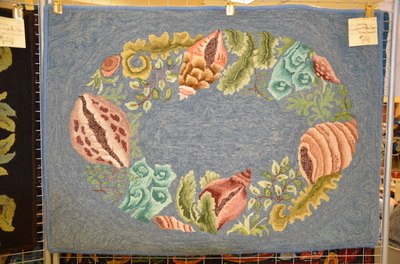 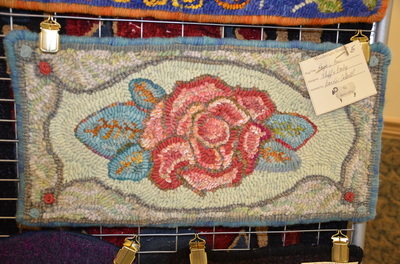 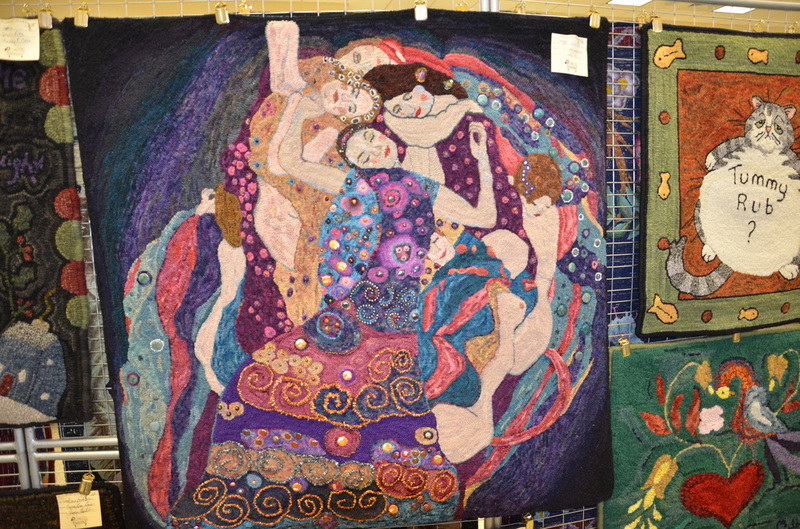 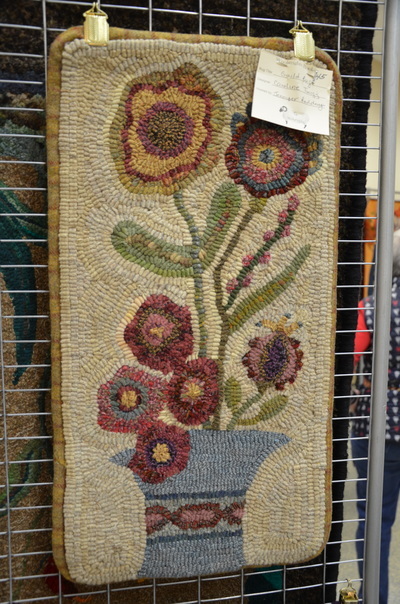 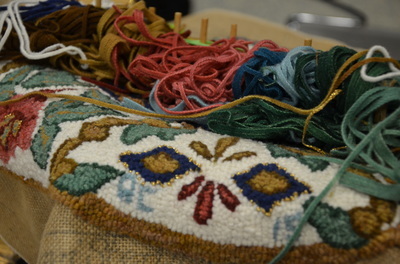 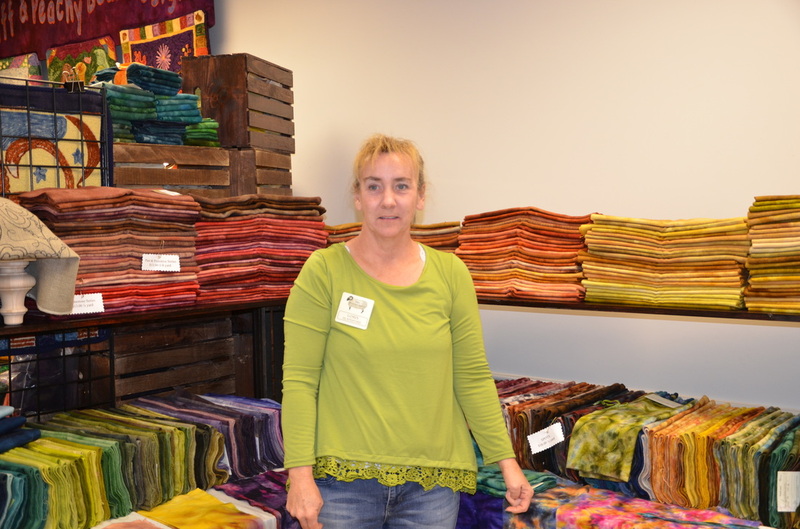 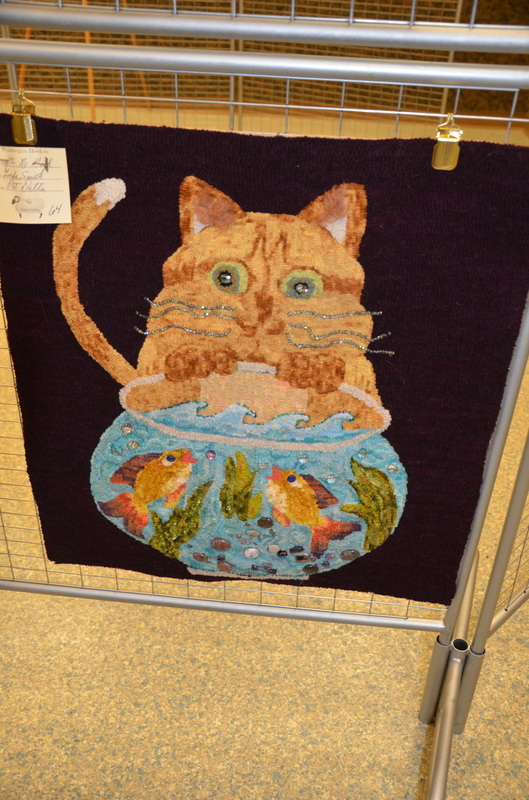 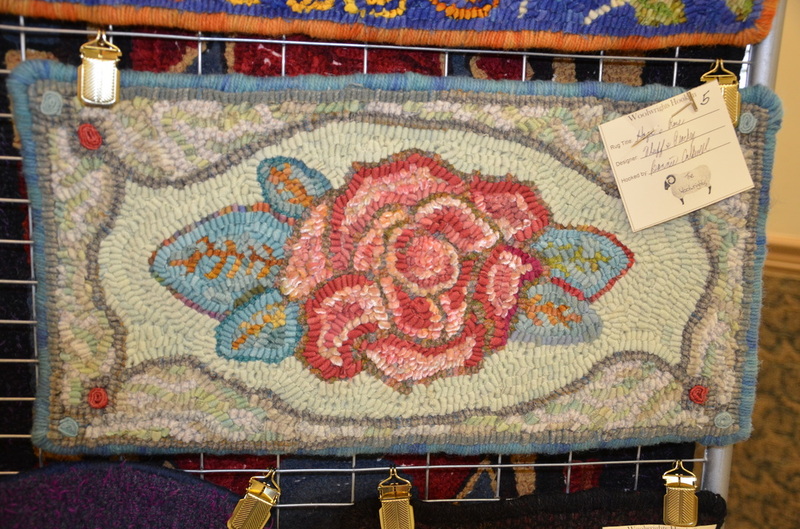 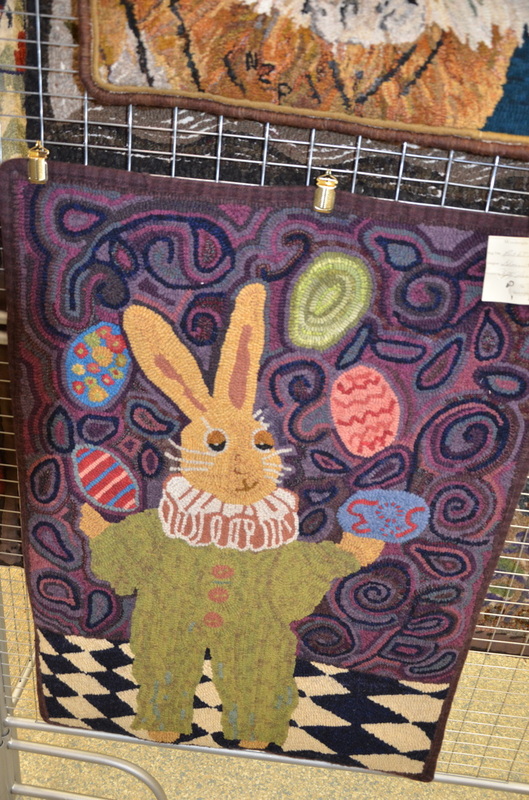 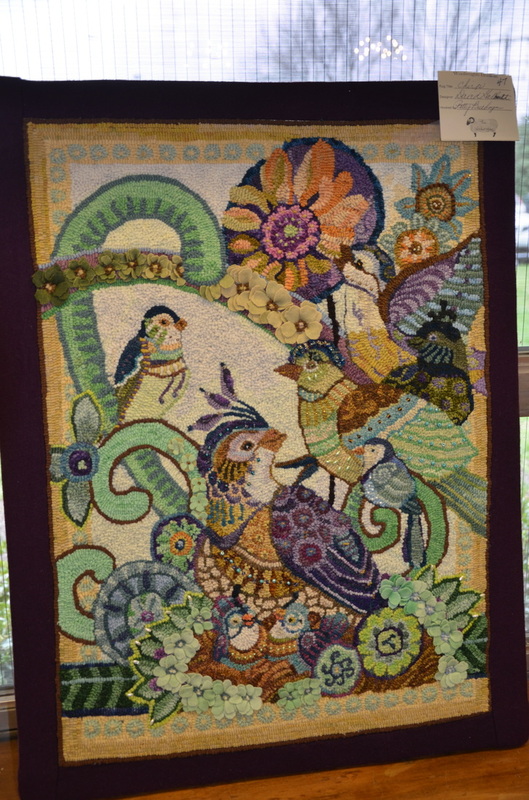 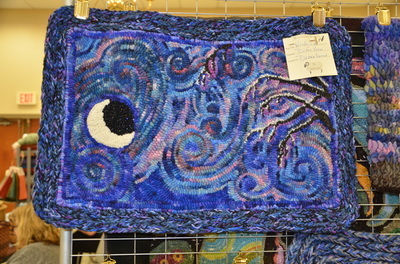 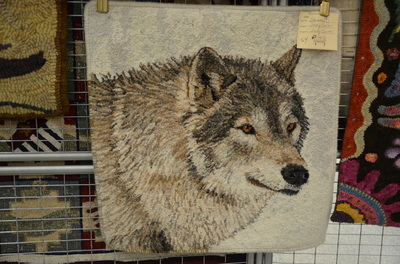 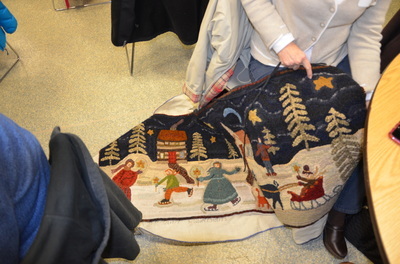 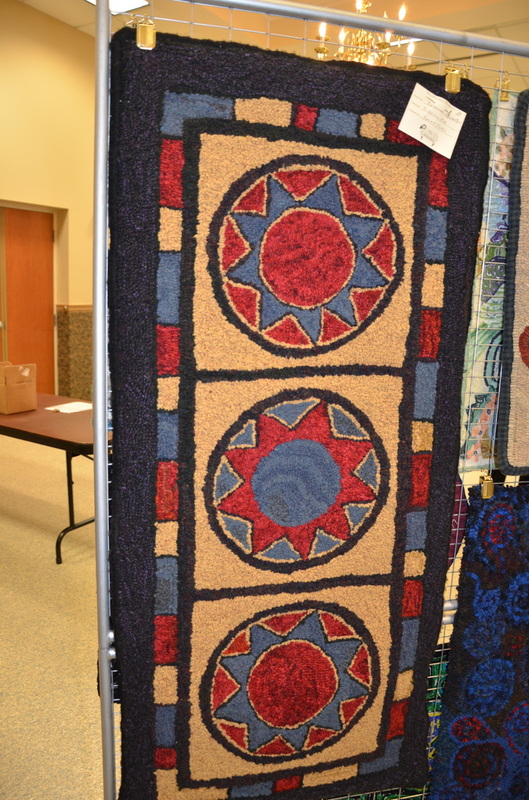 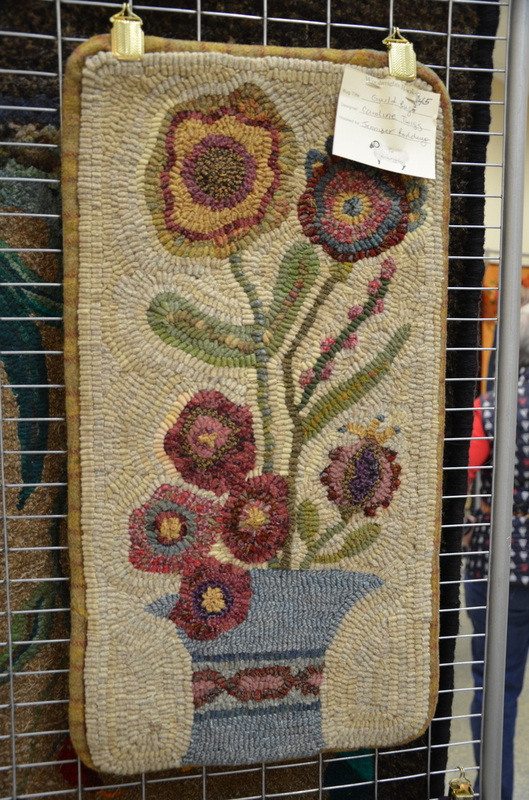 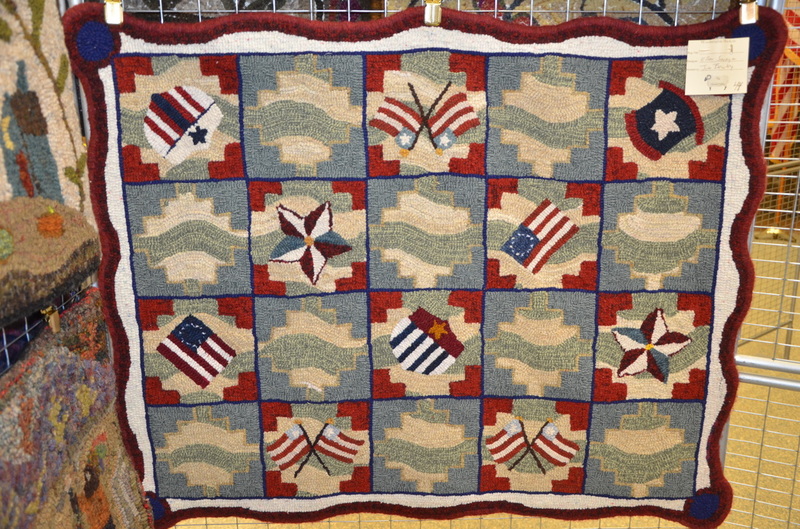 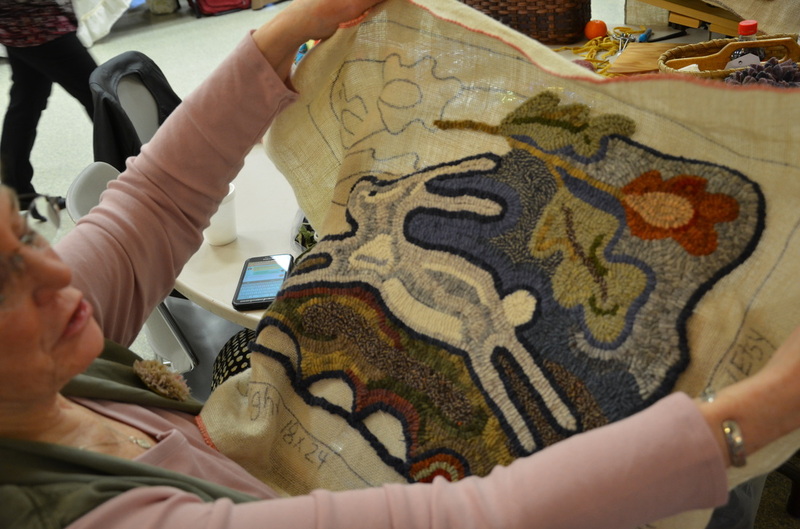 We did not have as many rugs in the rug show this year, but the rugs that were displayed were just incredible! 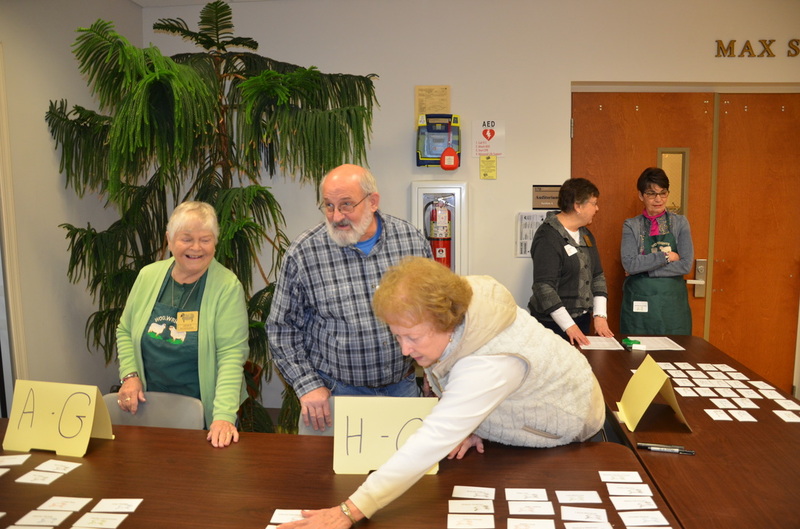 Thank you to our vendors, members, the hook-in committee, and registrants for making this hook-in a success once again.